We would like to share with you a few of our favourite, most influential floral designers from all around the world. We’re florists who know about designing beautiful floral creations and the skill and effort it takes to bring them to life. We admire these Floral Designers for what they have achieved, created and the inspiration they have given us. Well done and thank you. 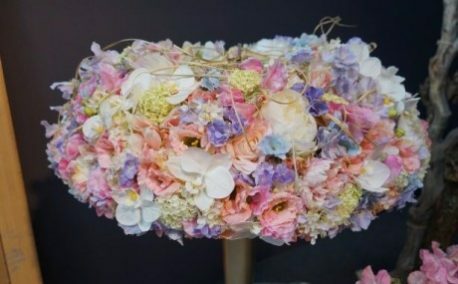 There are so many more great Floral Designers that we would love to include. But the post must stop somewhere, or it would never end. Share with us your favourite Influential Floral Designers in the comments below. Aartsen is a florist at Organic Move in Netherlands and has been working with flowers and plants from all over the world since the 1970s. His work is stunning, and the way it conveys movement is quite beautiful. It is quite apparent that Aartsen believes floral art should be experienced the same way as paintings and other art forms. We thought one of his best pieces was the work he did as part of the Green Room team at Fleuramour 2014. It was a floral picture frame (gorgeous!) that visitors could pose behind and become a part of as they looked “through” it. 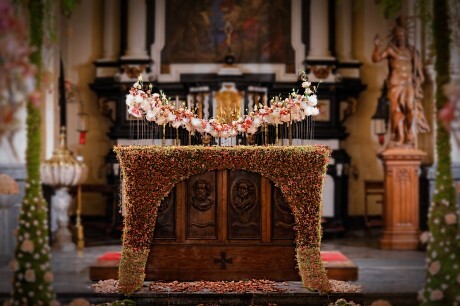 The unique installations and floral/plant designs of Adriaenssens look almost like installations in modern art museums. Blending the unexpected with classical shapes and clean lines, his work is genuine art. Adriaenssens began his path as a floral artist when he was a child, fascinated by his parents’ flower shop. He honed his style after his work with various floral art magazines brought him into contact with a broad range of professionals. 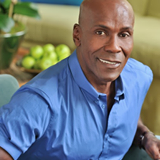 Representing New York City is favourite floral designer and event planner of the mega-rich, Preston Bailey. 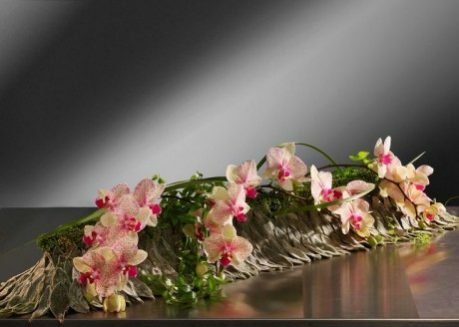 Bailey’s exuberant, opulent floral designs have been sought after by clients like Donald Trump, Oprah and Catherine Zeta-Jones. 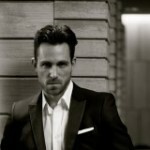 His dramatic, over-the-top personality has made him one of the most sought-after event planners/designers in the world. Bailey can turn the drabbest, most dull space into an event space most couldn’t even dream of. If you doubt it, check out the before and after photos on his website. But make sure you’re sitting down first. Bates is a Master Florist, author of numerous floral publications, a member of the Floral Fundamental team, and regular demonstrator/speaker across the globe. She also runs her business out of Leeds, UK and focuses on various commercial and artistic projects throughout the world in an attempt to absorb as many new impressions and styles as possible. Did we mention she has a keen sense of humour, too? Her artistic goal is to bring together two powerful tools of self-expression – photography and floral design – as a physical representation of her inner own inner visions. Her Ukraine wedding demo from 2012 and Fleuramour projects were particularly powerful and striking in our opinion. Brilliant splashes of colour colliding with palpable textures are the first things you’ll notice when viewing the floral works of Per Benjamin. His consultancy company, Benjamin’s Botanicals, is where Benjamin spends the majority of his time conducting floral coaching and consultations. 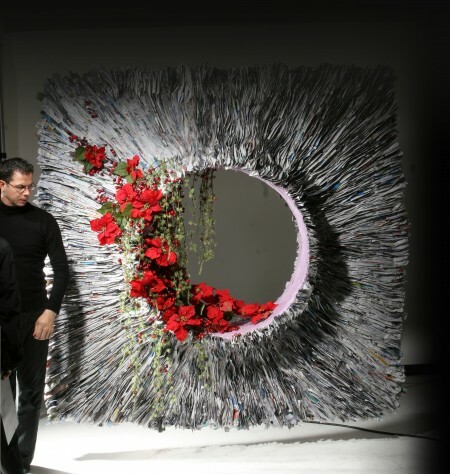 You can find him participating in the Interflora World Cups and designing floral displays for various magazines. If you’re ever feeling blue, a glance at Benjamin’s work will make you happy lickety-split. Next on our list is Brazilian, Leo Bione. 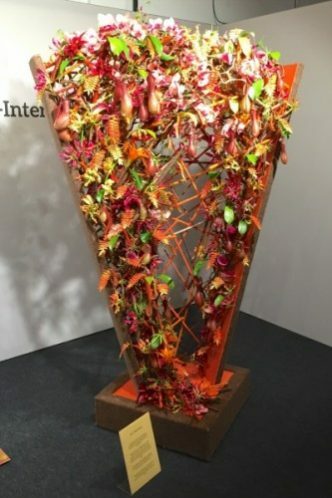 One of Bione’s most notable achievements was bringing The Americas Cup of Floral Design home to Brazil for the first time in 2011 at the 20th Edition of Enflor in Brazil. His work is both sophisticated and classic, and the number of flowers he uses for his designs is immense. Bione doesn’t just create beautiful floral designs. He creates beautiful floral environments. 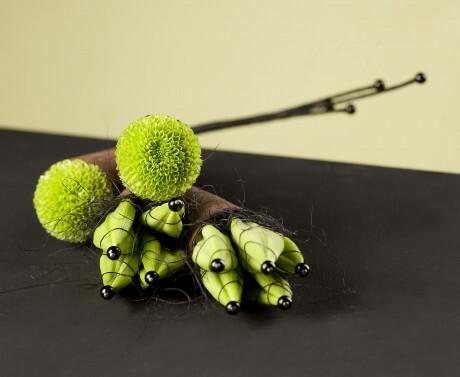 Blacklock is not only the author of 12 bestselling books (plus ‘Contemporary Floral Design’ coming out in November 2015) and the editor of The Flower Arranger Magazine. 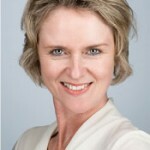 She is also the principal of the Judith Blacklock Flower School in Knightsbridge, London. 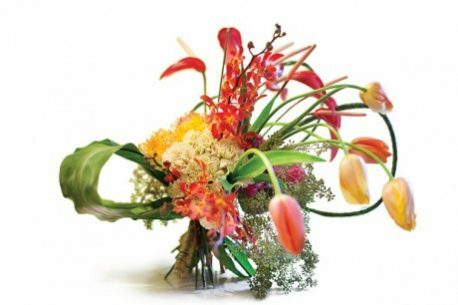 Blacklock has been teaching for more than three decades, and her school is renowned the world over for its exceptional reputation in teaching both cutting-edge floristry methods and classic flower arranging skills. 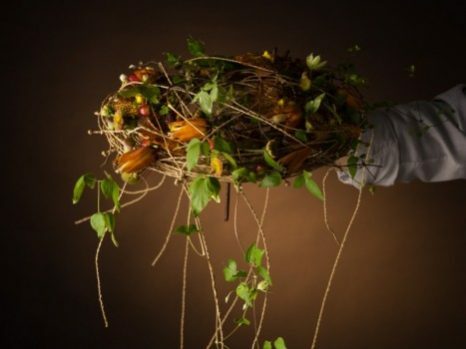 The institution’s highly regarded courses are even accredited by the British Accreditation Council (BAC) the American Institute of Floral Designers (AIFD) and the National Association of Flower Arrangement Societies (NAFAS). Blacklock is somewhat of a floral event planning-maven, regularly holding some of the largest cut-flower events the UK has ever seen. She also appears on TV and demonstrating at high-profile venues like the Chelsea Flower Show and Kensington Palace. Impressed yet? 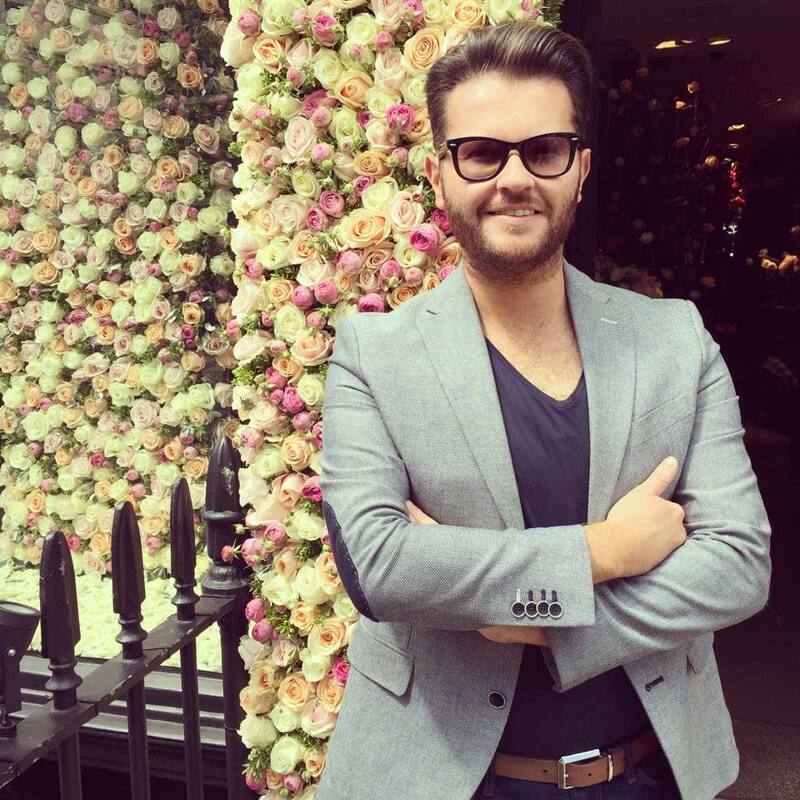 Blacklock’s also taught floral design to various personalities like Chef Gordon Ramsay, Kirstie Allsopp and Keeley Hawes to name a few. The floral works and creations or Bollingh have a certain distinguished, graceful, romantic air. Perhaps this is because he is a floral artist based out of rural Attenhoven. Whatever the reason, his delicate creations are understated and highlighted with such detail as to give the right emotional touches. 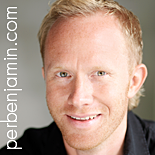 His goal is to create a “natural feel” with his works, and he demonstrates and regularly teaches, sharing his ideas. 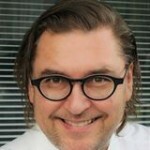 Bollingh is a 3-time finalist Belgian Championship and was named the Self Standing Entrepreneur of the Year in 2000. The floral designs and exhibitions of Bolte are both sumptuous and luxurious. Some of the recent Christmas displays he’s shooting now at Hotel Sacher look so tempting we want to dive right into the celebrations. His credo is “nearness to the plant”, and his creation scheme respects the natural growth forms of the plants he uses above all else. Bolte spent his early years working with and learning from the great Gregor Lersch in Germany. Later on he became the Senior Designer with Hibiya Kadan Floral Design in Tokyo where he became familiar with Asian plant traditions and plant culture. Bolte wants to set the plant in the right light, to place them on a pedestal. He wants to make it clear to people that such a culture is entirely due to the plants. Plants have always been an active component of our lives and still are. They turn any event into a special moment. French native Boyard descended from a horticulturist family but studied science before returning to his first love, floristry. He was a finalist at the Florist French Cup in 2003 before winning the title in 2004 and received the French National Order of Horticultural Merit in 2007. distills was named the finalist at the Florist World Cup in 2010 and continues to compete; writing books and appearing on various TV shows between competitions. 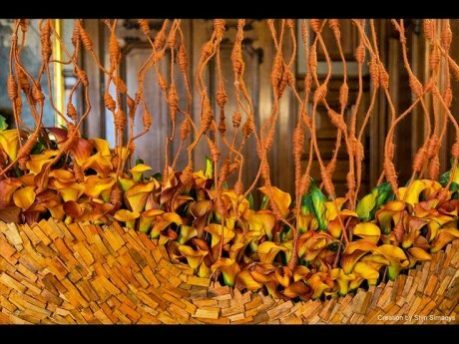 He is also a member of the Interflora Floral Art Group and Counsellor of the Technological Education of Paris Academy where he trains apprentices. This floral master and freelance floral designer at Asselien is also a co-founder of Made in Zwolle, an online store for locally-globally-sourced fine arts, design and craft products. 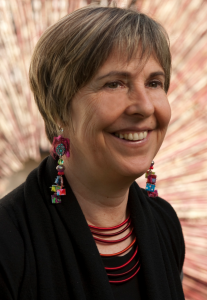 Her work is distinct and reflects her deep beliefs in sustainability and responsibility. Broekhuis believes in honesty as a foundation for everything she works on, and it lends a certain character to all of her works. 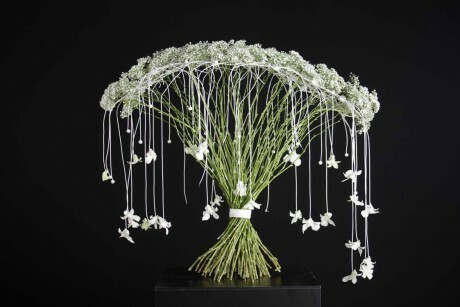 Italian floral designer Casati is an internationally renowned designer and character in the floral world, specializing in the construction of elaborate sets for weddings, and public and private settings. 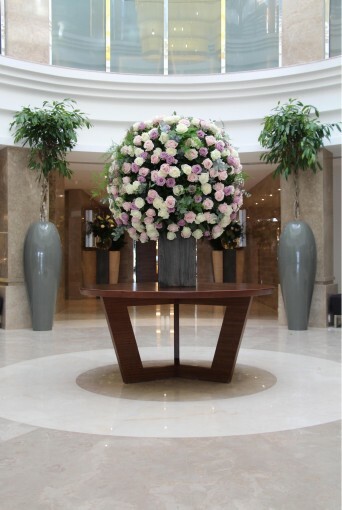 He is a practitioner of the flamboyant Sanremo Italian Style of floral design, his style of work combining shape and visual lightness with the person, situation, and the environment he is working with. 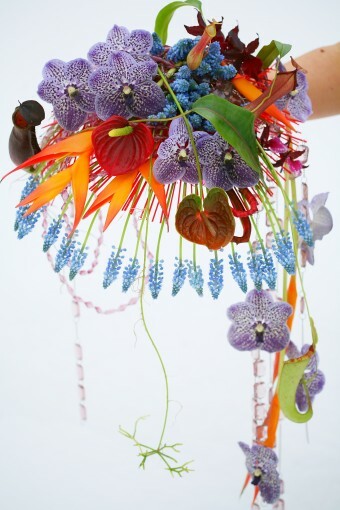 With over 30 years of floristry under his belt, Grant is a very creative designer, drawing inspiration from nature. Grant opened his first florist shop at the young age of 16 in beautiful Tasmania and now owns and runs the very popular Cachet florist in Launceston. 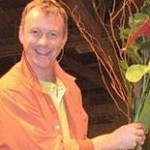 Grant runs demonstrations for Interflora members and the Australian Association of Floral Designers. 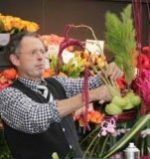 He competes in many floral design competitions when he can with the latest being the Melbourne international flower and garden show where he won the Bronze Floral Design award. Grants home of Tasmania ensures that there is no shortage of nature to inspire him, and we look forward to seeing what he creates next. 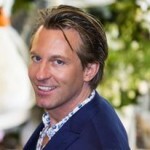 Tomas De Bruyne is a premier Belgian and respected international floral designer who runs a consulting company. 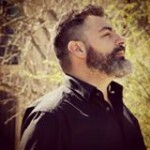 Besides being a world known educator, he focuses himself on the specialities business, always aiming to create beautiful, artistic designs that fit within his clientele’s commercial framework. 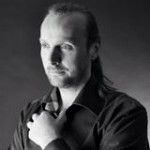 Tomas is a well internationally decorated designer who has presented and reached audiences at every corner of the continents with his talent and knowledge. 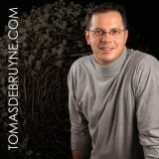 Tomas (co-) published over 15 books and along with giving seminars and demonstrations he has been commissioned to work on many prestigious projects worldwide. In 2013, a new variety of Gloriosa Lily was officially christened ‘Tomas De Bruyne’. Classic, romantic and cutting-edge, three words that embody the floral works of De Houwer. De Houwer studied graphic design, and his digital training shines through in the clean lines, geometric foundations, and modern design of his floral creations. Presently, De Houwer runs Ambrosia out of his renovated 17th-century family farmstead, designs for [email protected], and even produces an exclusive pottery collection for Serax. 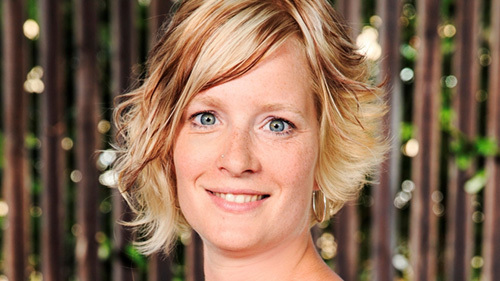 De Kok is a member of the AIFD, AAF, PFCI, and owner of Heather de Kok Floral Design in Edmonton. 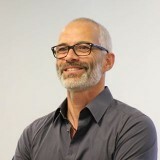 De Kok was the only Canadian to be inducted into the AIFD at their national symposium in 2007 and is the only Canadian member of the Professional Floral Communicators International (PFCI). A featured designer and judge across North America, she has represented Canada in the Gateway to the Americas Cup in 2014. 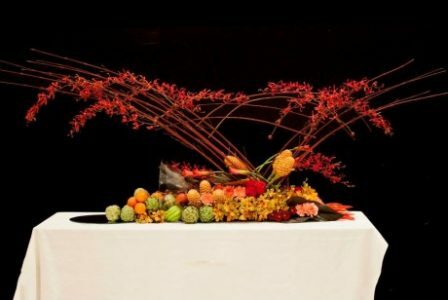 She won first place for the Table Scape competition and most recently being named as one of Canada’s top 10 florists under 40 by Canadian Florist Magazine. De La Flor, owner and operator of De La Flor Florist and Garden Centre. 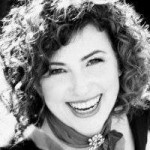 She is a member of the American Institute of Floral Designers (AIFD), Professional Floral Communicators International (PFCI), Certified Floral Designer and floral judge. 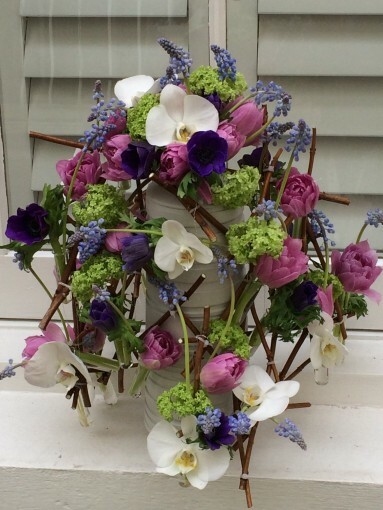 We love how she instils simple flower arrangement skills on YouTube. She’s a globetrotting trendsetter in the flower world and happens to be one of the few Americans on our list. 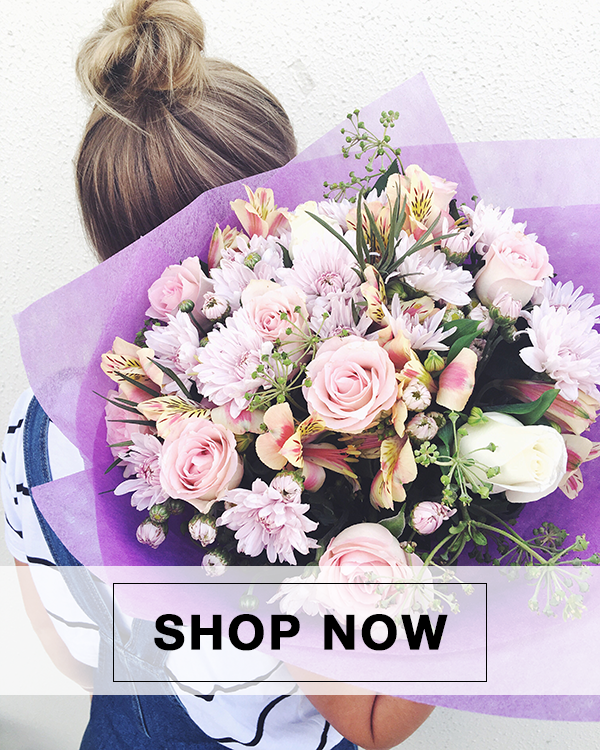 Her fabulous flower shop, nursery and garden centre is located in South Florida and a premier florist on Bloom Nation, a national community marketplace for local florists and enthusiasts. 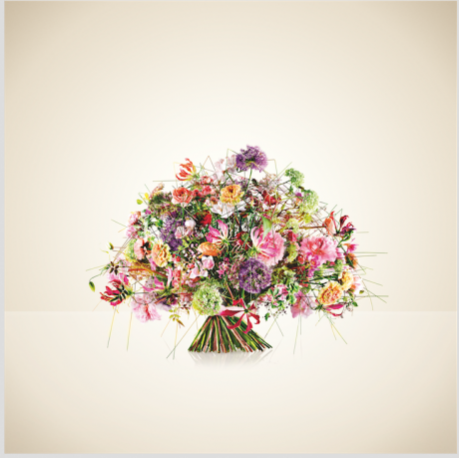 French-born Deprez is a floral art teacher, national judge, and passionate floral photographer. 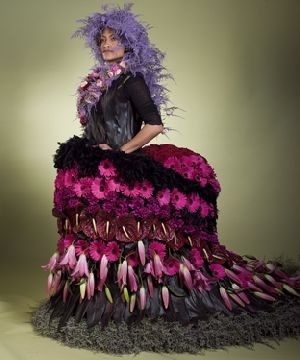 Some say that she has single-handedly raised the bar as to how all floral designers will be judged. She is also said to have a knack for being able to create perfect pairings between containers and whatever floral material she’s working on. If her work were fashion, it would be considered haute couture, and we couldn’t agree more. Check out her website www.jeuxdefleurs.org to see some of her latest works, photographed by the artist herself. To Deprez, Floral art is more than an expression, “it is a refuge.” Deprez is also an Author of 5 books, and she travels the world to demonstrate and teach. 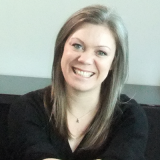 She is very keen on showing the technical side of the industry and sharing her vast knowledge and skills with her students. Natural, creative, scalable – these three qualities define the foundation of de Ridder’s works. 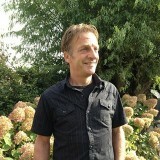 Currently, he and his wife work together in Limburg, Lanaken, where they run their flourishing floristry business. 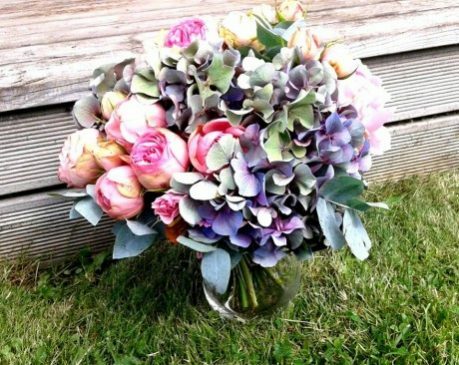 Deridder also works as one of the Master Florists for Fleur Creatif, the industry’s magazine par excellence when it comes to inspirational floral design. Through his work at the magazine, de Ridder is able to participate in monumental projects. 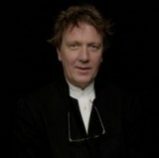 Projects include the Fleuramour in Alden Bisen, decorating the Rijksmuseum in Amsterdam, and several other international projects in China and across the globe. 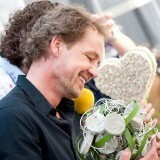 Jan can also be found on local Limburg TV where he distills the fine art of floristry for viewers step-by-step. If only all local TV stations had their own Master Florist. 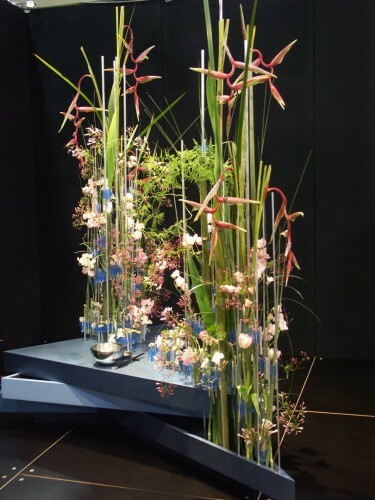 Dijkstra of Klaas Flowers & Design in the Netherlands has trained in Israel, Japan and, of course, the Netherlands. He loves creating themed window displays and passing along his decades of knowledge by training young, like-minded florists. Working with plant materials and incorporating local materials into his floral concepts are two of his biggest passions. 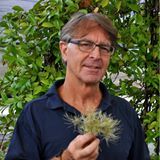 When not teaching, Klaas can be found working at Klaas Flowers & Design, or publishing his discoveries online. Sculptural and emotional are two consistent qualities to Duarte’s work, attributed to the fact that he was born on his family’s farm in Madeira – a Moroccan island paradise known as the “floating garden” for its exotic, exquisite floral life. 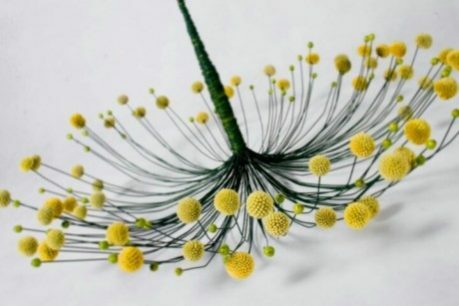 Noted for blending flowers with found objects to create art, Duarte works out of his floral studio in Toronto. His exceptional craftsmanship and eye for innovative design techniques are what enabled him to add Canadian A-listers like Rene Zellweger, Patti LaBelle and Sir Elton John to his list of clientele. Fun fact: his studio, Fresh Floral Creations, is regularly mistaken for an art gallery due to its weekly window displays that showcase various fresh artistic works. The flowers Duarte is most passionate about? Orchids. 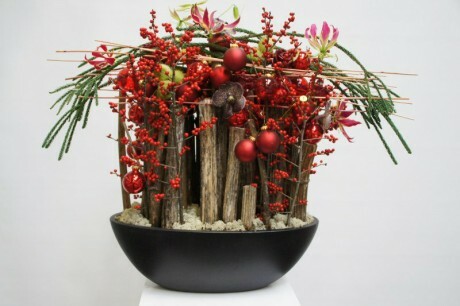 Fontanillas is a 3rd generation florist who hails from Barcelona, Spain. Fontanillas has been working with flowers since the age of 17, winning numerous cups and co-founding the international group Florist Pandoras Box along the way. Most recently, Fontanillas has been immersed in FLOOS(www.floos.org)A Crafter’s Secret and incredible tool for hobbyists and aspiring floristry professionals alike. He also owns two florist shops where he continues to hone his craft. FLOOS, a digital book of floral recipes and the brainchild of Fontanillas, is also used by various associations and schools of Floral Art across the globe. Frankema is from the beautiful Netherlands. 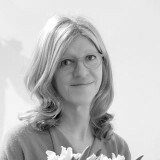 She is a certified European Floral judge and as of writing is on the Jury on Hollands TV show “Hollands Beste Bloemstylist” along with Pascal Koeleman, Rudi Tuinman and Pim van den Akker. 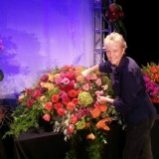 Hanneke has been a master binder since 2006 and practitioner of the floral arts since 1999, Frankema has earned quite the long list of awards throughout her career. Hanneke was the World Cup winner for Arrangements at the 2012 World Flower Cup in Barcelona, enjoys teaching a variety of courses on flower arranging and travels the world providing flower demonstrations and shows. Her bound arrangements and creations are gorgeous works of art; we’re putting her bound bottle bouquet on our next holiday wish list. 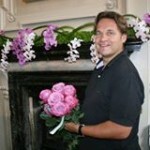 Next on our list comes Sjacco Gerritsen, national champion and Master Florist of the Fleur Inn, in Epe, Netherlands. His work is stunning, unexpected, and one hundred percent unique. But the Fleur Inn doesn’t just focus on your typical floral design and arrangements; it also offers green design and plantings for corporate spaces and businesses. When he isn’t coming up with new floral or plant designs, Gerritsen can be found in publications like de Pook and Bloem en Blad Magazine. Some of Gerritsen’s notable achievements include placing 8th at the Europa Cup in 2007 and winning 1st place at the Selection Championship 2004 – 2007. 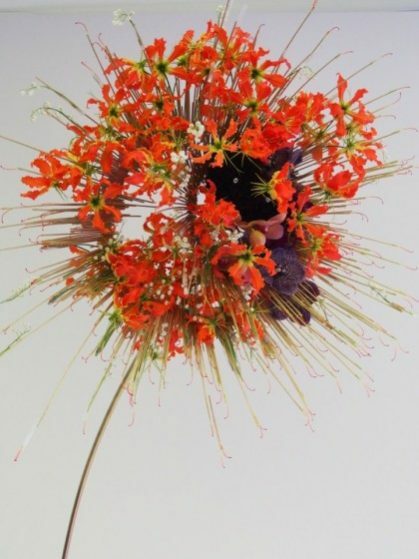 Netherland-trained floral designer and artist Glasbergen believes in telling stories through her floral creations and enjoys working with natural materials while highlighting different brilliant colour combinations. Her portfolio includes decorating and styling work commercially and artistically, decorating stores, showrooms and environments. To truly appreciate the magnitude – or fine detail – of her work, you should try to see it in person if possible. 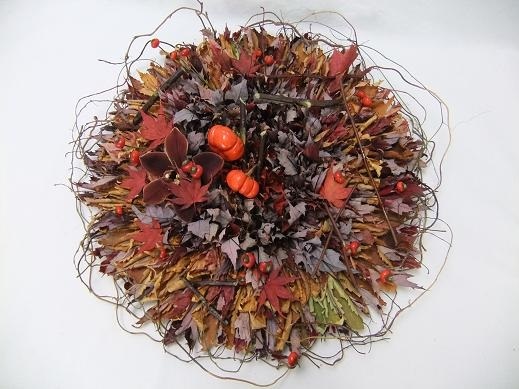 Graves is a floral artist, educator, artistic director and presenter from Holland, now living in Canada. His 30+-year career has taken him all over the world, but his passion lies in his company Bloemen Décor, which he runs with fellow florist Paul Day. These days he mostly focuses on promotion work for individual growers, wholesalers and tradeshows while also teaching at Humber College, leading its floral program. Graves has had much experience with public speaking and working with celebrities as a TV personality. His designs are fresh and curious – in the best way. Brazilian dynamo and apostle of the flowers, Hames discovered the floral art twenty years ago and never looked back. Her journey to becoming a master florist has taken her all over Europe and Brazil. 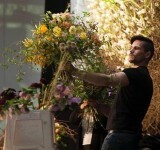 Hames is Floral Artist Member of the Brazilian Floral Artists Academy (ABAF) and enjoys teaching, speaking at conferences and competing both nationally and internationally. Her artistic style is truly organic, working with recycled/found materials, and she has quite the knack for finding the perfect way to package her works. If you’re lucky, you may catch her at one of her many workshops and courses regularly held throughout Brazil. Next up is Dutch-born Hazelaar. He has a weakness for soft, fragile flower. Both nature and the street inspire him, and this curious juxtaposition can be seen in his works. Hazelaar has worked at various flower shops, but it’s competing that he gets joy out of. Some of Hazelaar’s most notable floral achievements include winning the Battle of the Champions in 2011, winning 1st at the Dutch Championships in 2008, and winning the Cup Pyramid and Wim Hazel Trophy. Healey, a New Zealand native, owns Living Colour Designer Gifts and Flowers. 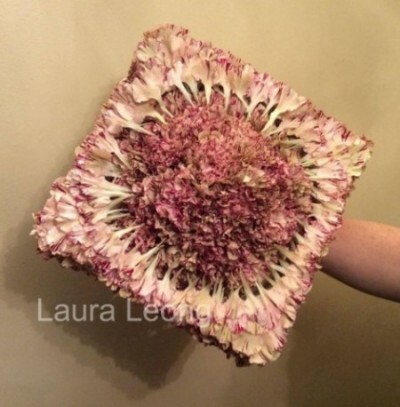 Her unquenchable thirst for floral knowledge led her to earn her New Zealand Professional Florist Association Diploma (NZPFA), as well as her AIFD qualifications and NDSF diploma. 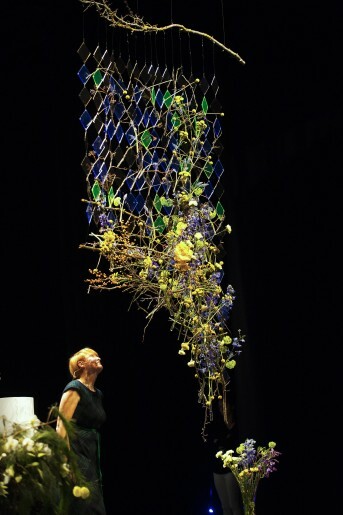 These days she keeps busy by competing in floristry design competitions, like the New Zealand Interflora Florist of the Year in 2009, which she won and also holds international demonstrations in Europe and America. 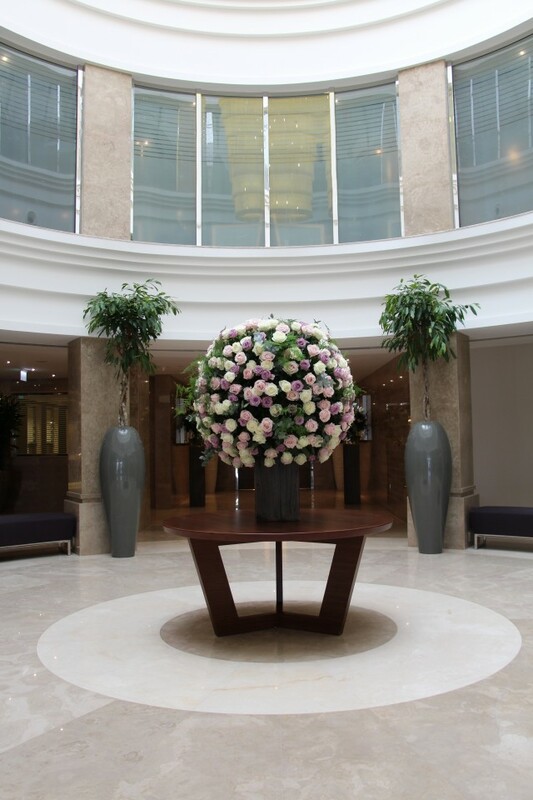 Healey has also won Interflora Florist of the Year in the UK as well as 3 Chelsea Flower Show gold medals. 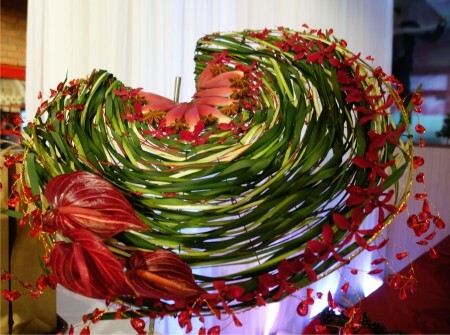 Herold’s journey to becoming a master florist started with his drive to be creative. What he was working with, what material, none of it mattered as long as he was creating something. These days, his creations revolve around taking an idea and making it a reality. 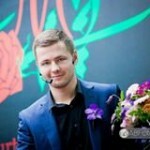 He competes in a number of floral competitions with some of the most notable wins including winning Grand Prize in the 29th DMF Floral Design Competition, winner of the Bloom’s Award “New Faces in Floral Design” and 1st Prize Winner of the German Championships of Floristry, both in 2012. With such a bright start, Herold’s career is surely one to follow closely. 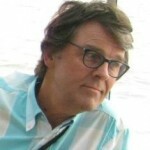 International floral designer and English native Horne, AIFD, CFD, is a well-known floral designer in the USA, Canada, France, Spain and the UK. 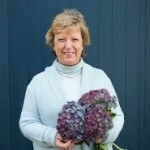 Not only was Horne named Florist of the Year in 2011; she is a Chelsea Gold Medallist and owner/proprietor of the award-winning Sarah Home Flowers. Her list of clientele is extensive and includes top names like the Flower Council of Holland and BBC Television. But among all of her undertakings, one of the unique and interesting ones is her mobile Sarah Home Flower School. 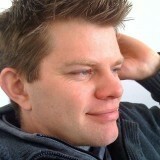 Koeleman is a native of the Netherlands, living and working out of South Holland these days. 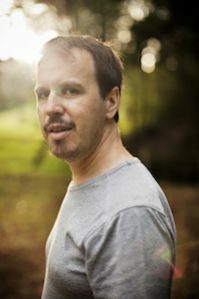 Koeleman works side by side with Rudi Tuinman, creating amazing design-focused product and marketing creations for both small businesses and multinational organisations. We may be getting ahead of ourselves, though. Focusing on just their floral design styling, we particularly love their Floral Concepts and Floral Fun project. On the other hand, their large-scale floral work is more of a tour de force, drive-by floral performance art, if you will. One overnight project took 1,200 grass rolls, 55,000 white flowers, 30,000 pink flowers, 15,000 red flowers, 4,000 purple flowers, and more than 38 pairs of hands. 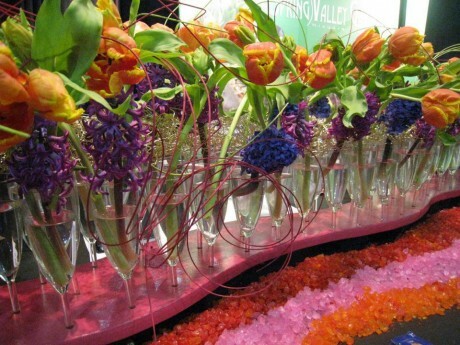 Dutch Master Florist Koene is passionate, and his passion seeps through every project he works on. 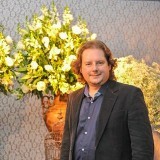 A decorated florist, some of his best-known works include “Tears of Happiness” which was a project he worked on featuring Dutch Creations’ new white rose variety, the “White Naomi”. Koene’s works are frequently featured in various industry publications as well as several art books. For more than 12 years, he has lived and worked out of Athens, Greece, and his work reflects certain charming, whimsical aspects of the country’s many gorgeous islands. 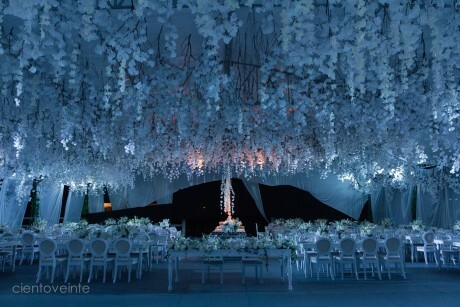 For wedding designs unlike any you’ve seen, check out his work in Wedding Stories. 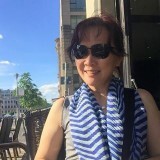 Koh works and lives in Singapore and is the sole proprietor of Fleur Connection. 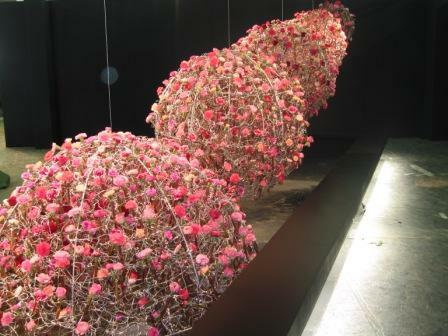 Most well known for his extensive teaching, judging, and exhibitions, Koh was also appointed the Senior Flower Consultant for the 2008 Beijing Olympics. 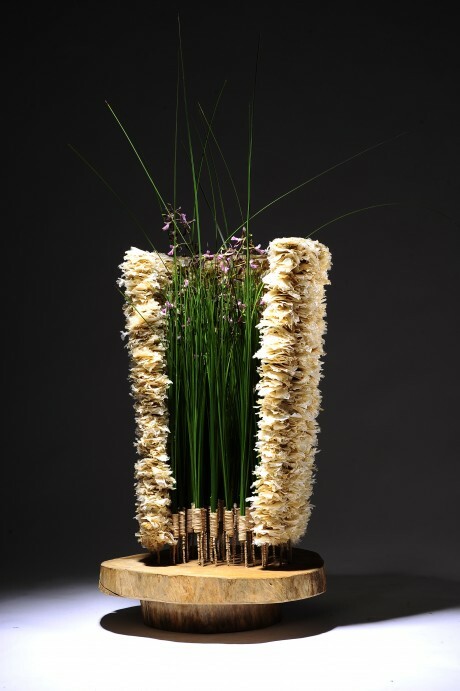 His floral works are genuine works of textural art, drawing on their native environment for inspiration. 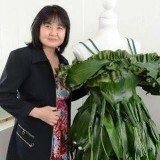 Koh is one of the most highly sought lecturers and floral demonstrators. One of Kokes most well-known works called Humoresque happened at the Europa Cup in 2011. 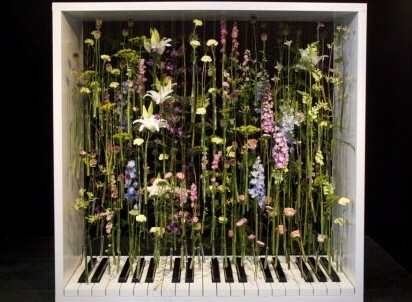 It’s an amazing work that involves melodies, a piano, and multitudes of flowers from the Czech countryside. 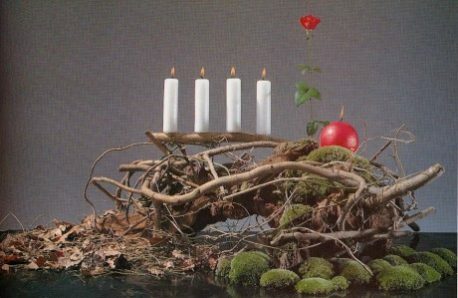 His style is, in fact, uniquely Czech and he likes to incorporate Czech flowers, materials and products in his creations whenever possible. 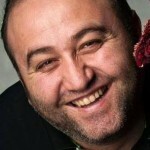 His Flower Studio AMMI specialises in the binding and arranging of flowers, production of decorations and concept art. 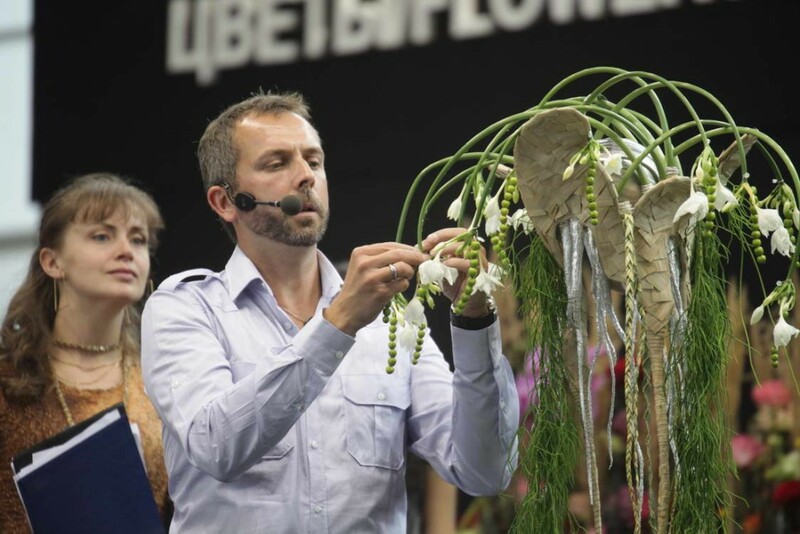 When not imparting his knowledge and techniques to younger students of the floral arts, he can be found defending the Czech Republic’s Championships in various floral competitions. Kroner is a German florist and master of floral design. A mesmerising teacher, Kroner uses his extensive knowledge and skills to help teach and progress the floral industry. He is known throughout the international flower community as an envelope pusher, one who is always trying to challenge and grow what it means to be a floral artist and designer. His work is, in one word, inspired. His goal is to bring the culture and passion back into floristry and to ignite the interest in a younger generation of professionals. His challenge to younger designers: always approach your work with open eyes, and never stop educating yourself. Italian native Lacarbonara. 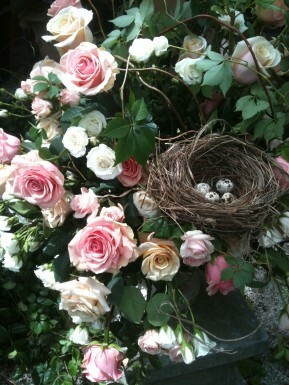 Her floral designs are quite stunning, and her speciality is wedding floristry. 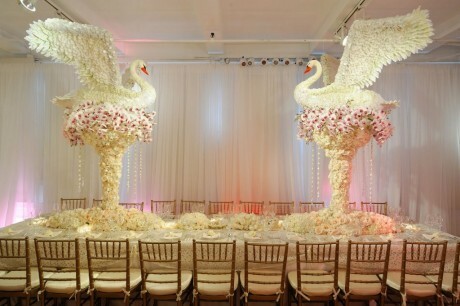 Fresh, sophisticated and bursting with creativity, her wedding designs are truly something to behold. 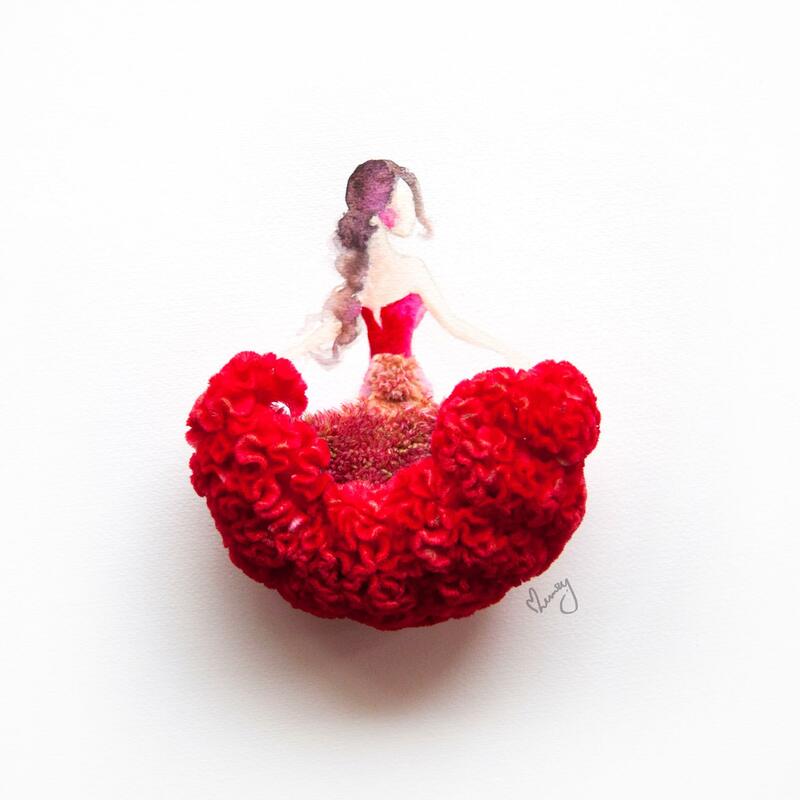 Presently, Lacarbonara is the art director at Agora Fashion Flowers in Italy and continues to create various floral designs and wedding creations that meld clothing with flowers, plants, jewellery, and the imagination seamlessly. Her floral design house and designers help others on their paths to becoming masters in the art of floral wedding design by holding numerous training sessions and courses throughout Italy. Lacarbonara’s creations can frequently be found in various International wedding and floral magazines. 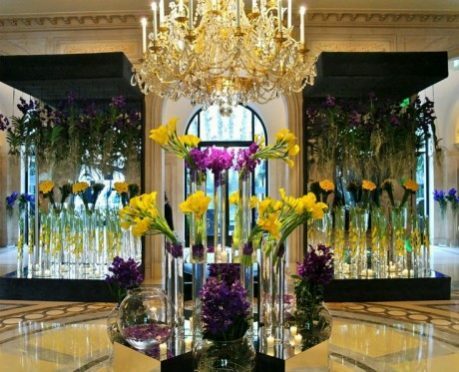 Leatham began his career in floral design at the Four Seasons Hotel in Beverly Hills where he was then voted the Best Hotel Florist in Europe for consecutive years before then becoming the Artistic Director of the Four Seasons Hotel George V in Paris. 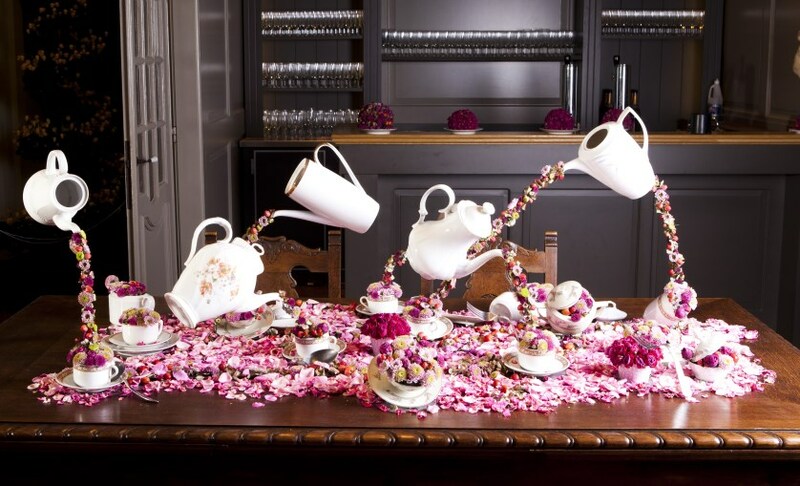 His floral installations and creations have often been compared to contemporary art, and he continuously collaborates with international luxury brands. 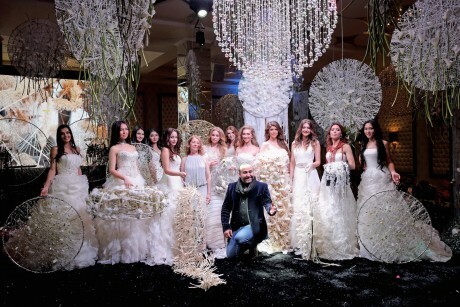 His floral design clientele is as impressive as his luxury brand clientele and includes the likes of Tina Turner, Celine Dion, Oprah Winfrey, Madonna, His Holiness the Dalai Lama and more. He is quite the globetrotter, so look for updates on social media and on his website to keep up to date with his latest works and up comings. The floral designs of Leong are smart, stunning, and intricate. 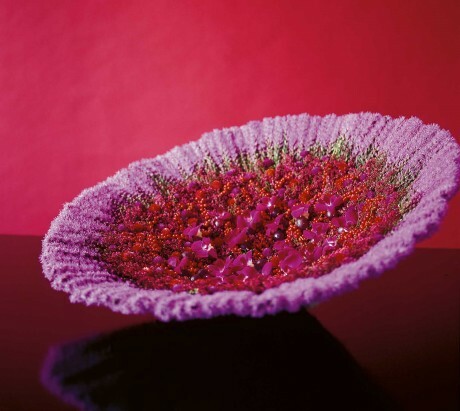 One of our favourites of hers is a bouquet made entirely of Dianthus “Vipers”. Leong is an award-winning florist, demonstrator and teacher and has won Chelsea Florist of the year twice, 2013 & 2015. 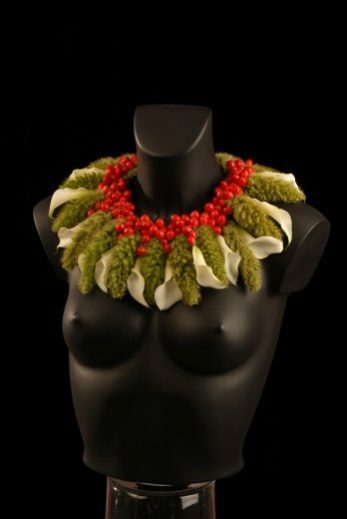 Her background is in fine art, and it’s evident in the contemporary designs of her flower designs. When she’s not teaching, Leong can be found competing and getting involved with various exhibition works at home and abroad. Leong also trains Squad UK Finalists for World Skills competitions. It’s not surprising that many of Leong’s works stem from simple geometric shapes, but the unique way she builds on them to create something striking is what sets her apart. As a doctor of philosophy in cultural studies, Solomon’s extensive knowledge of cultures and history about floral art has turned him into a successful commentator of floral designs. 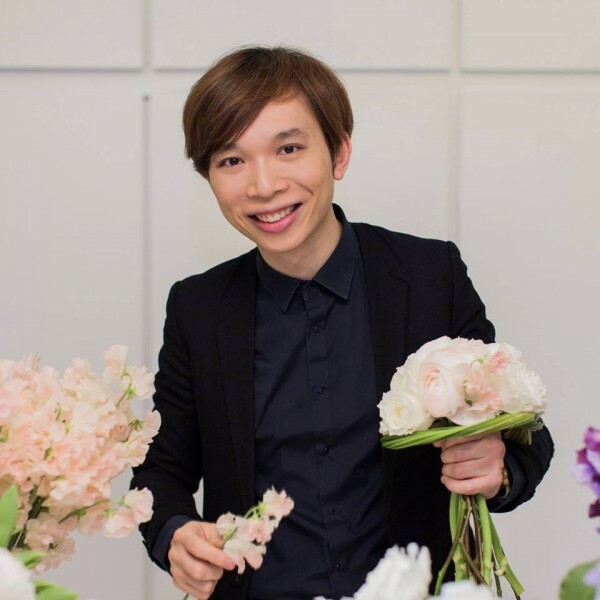 Dr.Leong is the Director of Solomon Bloemen bespoke floral design studio and his unique approach to floral styles and aesthetics has made him a regular contributor in fashion and lifestyle magazines such as Elle, Cosmopolitan and Marie Claire. Competitions have formed an important part of Dr Leong’s professional life. In 2006,2008,2011 and 2014, Dr Leong was awarded the Gold Medal as well as the Best Floral Arrangement Award at the Royal Horticultural Flower Show at Chelsea. He also received Silver-Gilt Medals in 2005, 2007, 2010, 2012 and 2013 as well as numerous other awards!. Dr Leong is an active floral demonstrator who has regularly demonstrated at the Hong Kong Flower Show and other locations both locally and abroad. 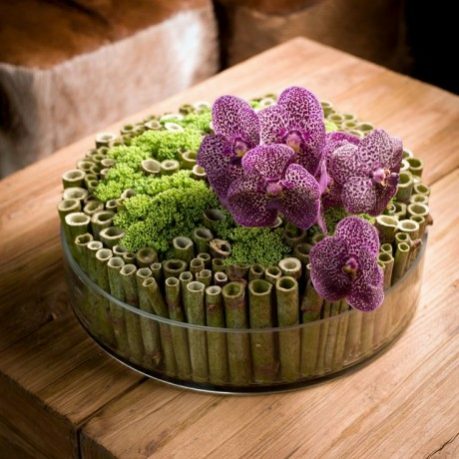 Dr Leoug is a member of AIFD, World Association of Flower Arranging Societies, President of the Hong Kong Flower Club, and member of the World Council Hong Kong Chapter just to name a few. He has also Judged at the Singapore Garden Festival and Hong Kong Flower show as well as Cosmopolitan Bride Beijing called him ‘one of the 50 influential Chinese voices in the wedding world’. 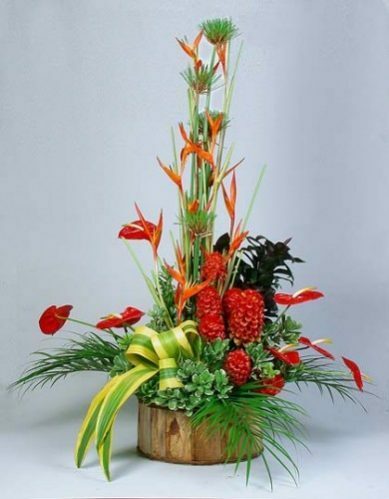 Lin has been a practitioner of the floral arts since the early 1990s, working her way up from demonstrating, to winning the third 9th prize in the Interflora World Cup Competition, to becoming a judge and acclaimed author. These days Elly can be found running her family’s flower business in Taipei, giving special international floral seminars, and judging various Interflora competitions worldwide. As if that isn’t enough, Lin also runs a floral design training centre at Taipei Garden in Taiwan. 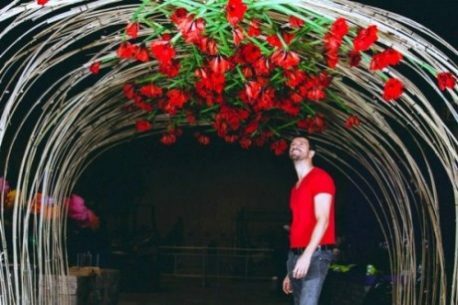 Natasha Lisitsa, named one of most exciting and daring floral designers in the USA, has become internationally recognised for her larger-than-life floral art installations, some of them up to 500 kilograms (1000 pounds) in weight. 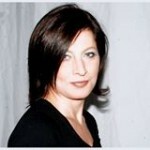 She is known for her modern, vibrant design style and innovative use of unconventional materials. Her work has been featured all over the world, as well as locally at the San Francisco Museum of Modern Art, the de Young Museum, to name just a few. She is always in motion designing events and floral art installations, teaching workshops and travelling to international floral design shows. 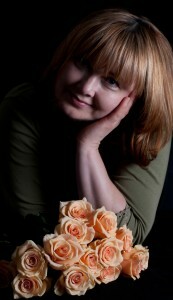 Cherrie is a talented florist and award-winning designer who speaks and holds degrees in both Russian and English. 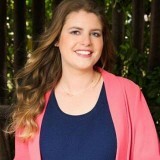 She currently works as a designer at Queen’s Flowers and Gifts in Huntington Beach, California. Cherrie has always been active in the floral industry, placing 5 times as one of the top 10 floral designers in California. 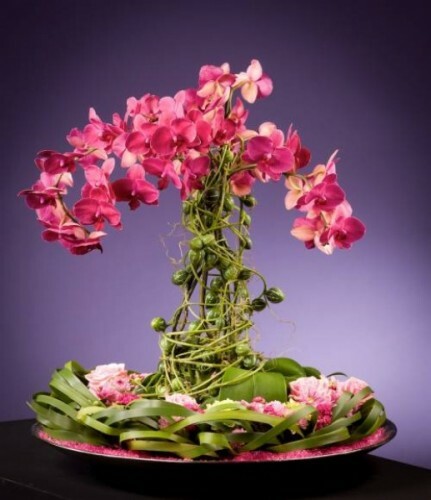 She has also participated in various floral design competitions including the Interflora Fleurop competition in 2003, Interflora World Cup in 2004 and 2010, the Intercontinental Flowers Design Competition in 2011 and also placed 2nd at the Sylvia Cup of Society of American Florists 2011. Since 2011 Cherrie has been very busy as a TV show hostess for VNA TV 57.3 located in beautiful Southern California with weekly tv shows spanning four seasons. These weekly TV shows are about simple do-it-yourself designs and fancy designs combined with culture. Cherrie is a respected international floral designer with flowers businesses in Vietnam and America. From the United Kingdom, Elizabeth Marsh started out wanting to be a writer but thankfully for us she landed in the flower industry. She did put her writing to good use; she has written an excellent book, “Petal Performance, the Art and Economics of Floral Design”. Liz began her journey through floristry in a small flower shop in London before entering the world of floral design when she joined the great Kenneth Turner, a pioneer of floral design. Liz now has a talented team of floral designers, and an adopted black Labrador called Cherry who together run a very successful floristry business with some big name, high profile clients. Never one to back down from a challenge, Liz appears to be able to adapt her style effortlessly to suit different situations. As we look at some of her work, there is no mistaking that Liz made an excellent choice unlocking her natural talents and becoming a successful Floral Designer! We swear, we never knew how many different colour roses there were until we saw the work of Mertens. Garden roses are some of her absolute favourite flowers to use; our favourite are her Valentine’s Floral Cupcake arrangements for B-DECOoh!! 2013 in Brussels. 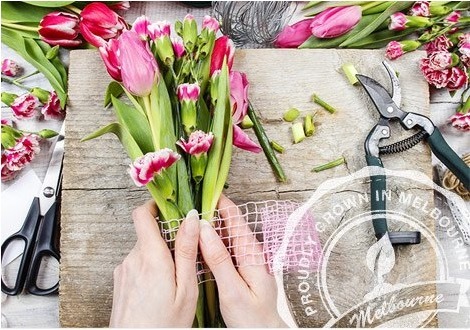 Mertens enjoys passing her love for creative flower arranging on to other through demonstrations, publications in industry magazines, and 60+ seasonally inspired workshops that we wish we lived close enough to attend! Müller’s passion for working in flowers is apparent in his work. 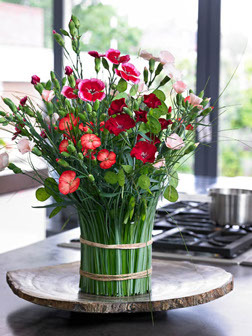 His propensity for fusing bold colours, clean lines and classic shapes makes his floral designs exciting and timeless. 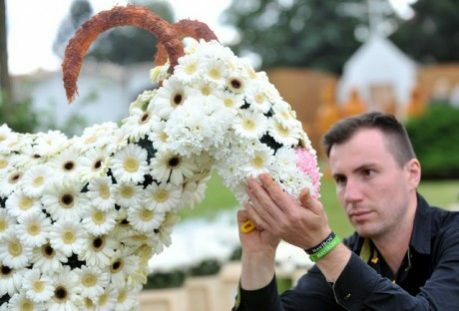 Since 2011, he’s been a member of Flowers Pulse, Switzerland’s competition and floral education team. 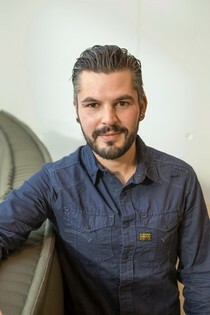 Also since 2011, Müller has been the managing director of Fleurop Shop in Uster. When he isn’t working or competing for the Swiss, he’s usually outdoors or at home gardening. No matter if he’s competing or helping demonstrate, Müller infuses a little bit of his individuality into every arrangement he creates. 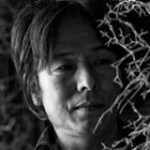 Nakayama is a Japanese native, world-renowned floral designer, and co-founder of TasTe flower design. 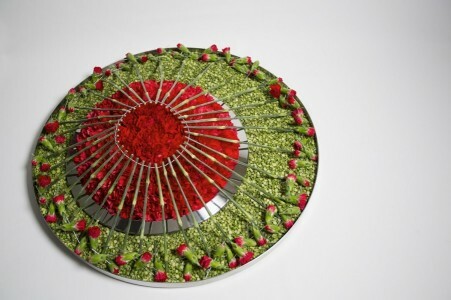 His specialities lie in international floral demonstrations and exhibitions, in which he has been involved since 1996. He is the 2008 JFTD Japan Cup Grand Champion and has won a number of other awards including the JFF (Japan Flower Festival) Gold Award in 1996, as well as 3rd place in 2004’s JFTD Japan Cup. 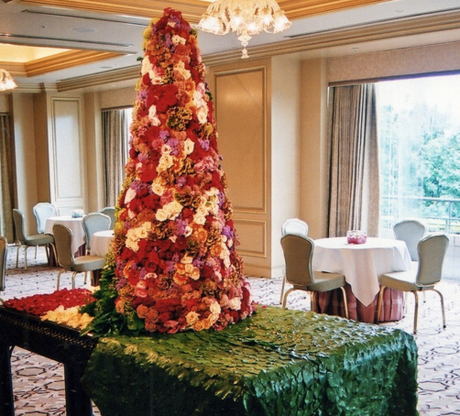 These days Nakayama can be found judging international floral competitions as well as participating. We simply love his ability to blend flowers into their surrounding containers and structures; the detail in his work is simply amazing. 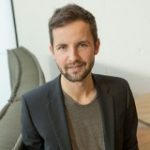 Danish-born Nørgård is a regular in the floral competition scene, in 2002 becoming the Danish champion in modern floral art as well as contracted to help decorate Church of Our Lade in Copenhagen for the Royal couple’s 2004 wedding. These days she runs her floral design shop Turmeric Flowers Design in Denmark. 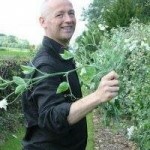 Nørgård also enjoys giving gardening demonstrations to gardening circles as well as holding regular courses for professional and amateur florists. 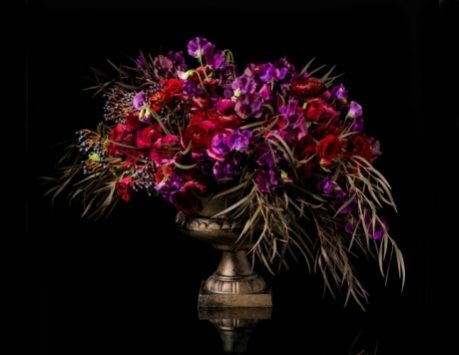 Daniël Ost is not only one of our favourite, most influential floral designers, but he is also one of the world’s most prominent influential floral designers. 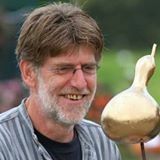 Among many things, Ost is a very well known and liked Belgian Floral Designer, Garden architect, Teacher, Mentor and Author of many great books. Ost crosses the world from west to east, he has achieved so much and inspired so many, one person, in particular, his Daughter Nele, who is following closely in her Father’s footsteps. Awards include multiple first places at Belgian Championship in Brussels, 1979 and 1983. Multiple first places Golden Orchid in Hannover, 1981 and 1983, and many more. Ost is also a Citizen of Honour of Sint-Niklaas (Belgium) since 2005 and Kurashiki (Japan) since 2015. Ost’s clientele includes numerous royal families, sheikhs, multinational organisations as well as humanitarian organisations like UNICEF. 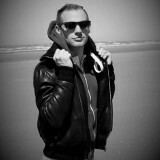 For more on Daniël Ost, check out www.danielost.be for more. Crisp lines and exquisite structural technique Mark Pampling’s style of floristry. Some (mainly we) believe his creations look more like remarkably miniature, whimsical vignettes, check out his designs at Markpampling.com and see what you think. A serial winner of the Interflora ‘Australia Cup’. 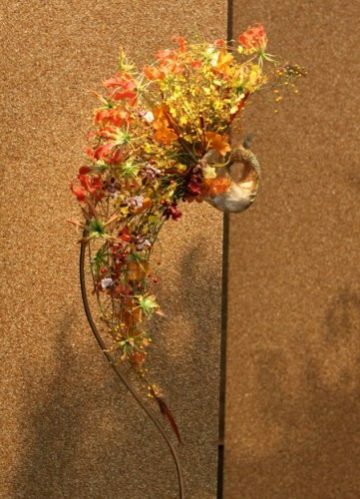 Pampling’s most recent achievement includes being named International Designer of the Year by Fusion Flowers Magazine, 2014, also best in Show, Gold Award and Design Innovation Award at the International Flower Contest Japan. At the Asia Cup 2014, he received 1st Place with a Surprise Table Display. Pampling is also a regular contributor to international floral design publications, co-owner of Alstonville Florist, NSW, Australia, a teacher, demonstrator, accredited floristry Judge and industry consultant. Belgian-born Pattyn is a firm believer in drawing inspiration from one’s surroundings; one’s roots. Maybe that’s why he can still be found, doing floral design work on the family farm in Geluwe, right in the same home he grew up in. “Stay creative and don’t stay still,” are words of advice Pattyn lives by, and his clients love him for the pure, simple, natural style and never ending variety. While Pattyn is already an established author, with more than five books published already, he doesn’t see himself stopping anytime soon. We sure hope he doesn’t, either! Pettersson’s floral works are fun, funky and over the top – and we couldn’t love them more! Pettersson is an accomplished competitor from Norway, who won second place, second place, and first place in the Norwegian Championships of 2007-2009, respectively. Flowers are Petersson’s life and no matter if she’s hiking around her home or at one of her flower shops, she’s always thinking about her surroundings and the different possibilities and possible flower/plant pairings. Petersson opened her first store in 2007, Molde Blomster, and Fraena Bomster not long after. 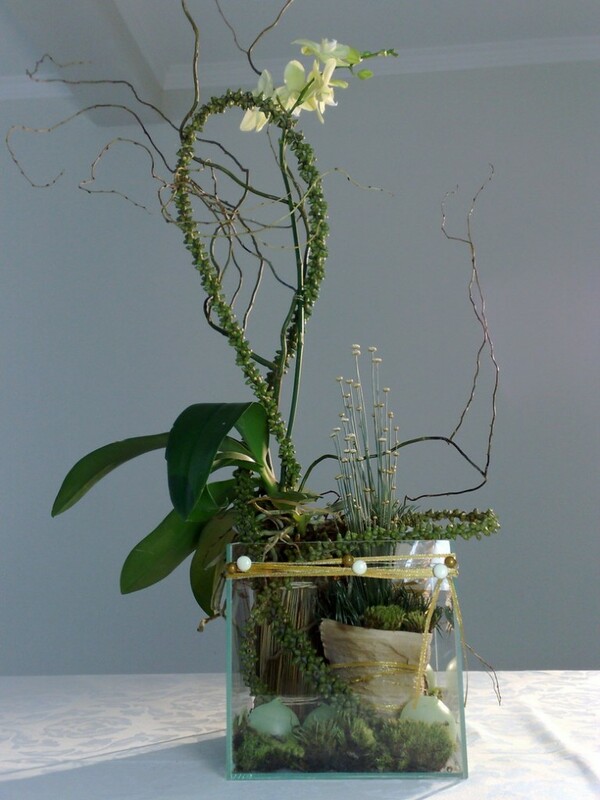 While some of the floral designers on our list are renowned for their whimsical, glamorous, and elaborate works, Plattel’s incredible talent is focusing on the natural beauty found in plants and flowers. His work emphasizes small details of certain natural elements and amplifies them in such a way as to create surreal, dreamlike works that one only wishes could be found as-is in nature. 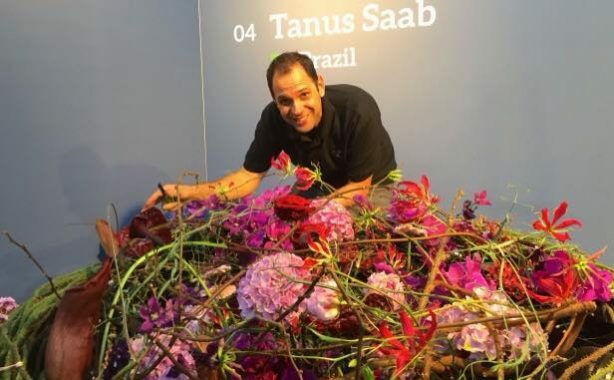 Next up on our list of influential international florists is Saab, a man who holds the distinction of being the president of the Brazilian Academy of Floral Art (ABAF) from 2007-2010. Saab is a trained architect and urban planner who has morphed into an interior architect with a deep love for floral design studies. To this day, Saab still educates in Brazil, abroad, and through his role as the Academic Director of the ABAF, nurturing and growing young florists. Floral Art is Santamaría’s great passion, a way of life with a high emotional content, he expresses feelings and communicates sensations through the floral materials. Santamaría tells us that he was born to be a Florist!!! 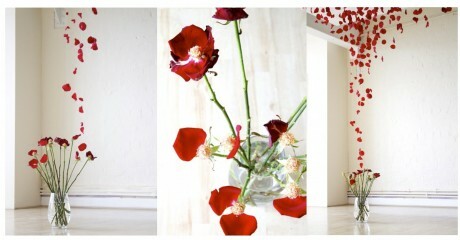 A floral space for him is the space where the floral craft is at its most innovative and inspiring state. Creativity does not mean improvisation without method. 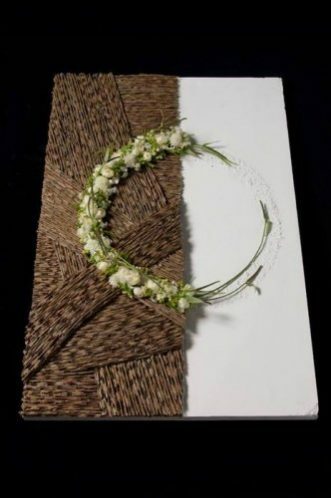 The combination of forms and natural materials is his goal, through them he acquires ideas and discovers a broad range of floral arranging designs and new possibilities. The strong contrasts in his homeland, the vast blue sky, the wild nature, the Mediterranean and the architecture of a city like Barcelona. Artists like Antoni Gaudí, Norman Foster, and Bofill to name only a few, all these elements come together to form what it has been without a doubt a large and endless manual of inspiration. To discover and understand different cultures, especially the history of art, are two ways of creating concepts and get inspired which help the evolution of Santamaría’s commercial and artistic floristry. “Originality consists in returning to the origin, so original is that it returns to the simplicity of the first solutions” a great quote by Antoni Gaudí which Santamaría keeps in his mind to help find ways to evolve his floral craft. 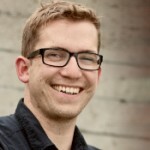 Schwanke is a floral industry expert and member of the AIFD, AAF, PFCI and National Speakers Association (NSA). 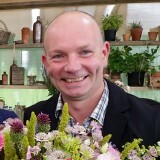 He also hosts a weekly Internet TV show on ubloom.com that educates and inspires floristry enthusiasts of all levels. Schwanke has a long and storied history and love of flowers; the guy was born during a State Flower Convention in Nebraska for crying out loud! He’s known as the foremost flower design expert in the American flower industry, as well as the most trusted voice in the entire flower industry. 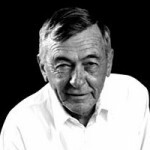 His commitment to the field was even recognised in 2010 when he was the recipient of the prestigious Tommy Bright Lifetime Achievement Award of Excellence in Communication, Instruction and Marketing for the Flower Industry. 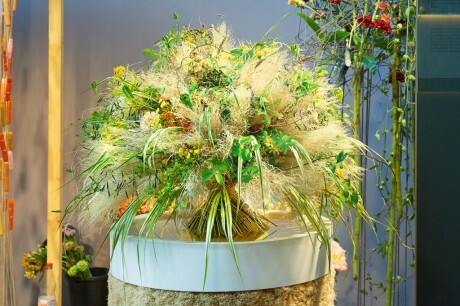 Finnish florist Seppänen is world renowned, has won the Finnish championships in floral design six times. He Also participated in the 1995 European championships, as well as the 1997 World championship. 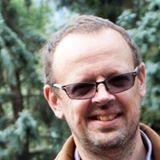 Seppänen is a published author who has a great passion for Nature which started at an early age, with a huge interest in animals and plants and a dream of being in the veterinary profession. These days Seppänen can be found at one of Finland’s oldest Flower shops, the Runebergin Kukka Dan Ward, (situated in Helsinki city centre) where he is a shareholder and works alongside a talented team of designers. Sieradzan of Sekunda & Sieradzan Floral Design is all about creating uniquely styled, perfect floral forms from simple materials. He revels in the beauty of nature and loves using nature-inspired shapes and colours in his work. 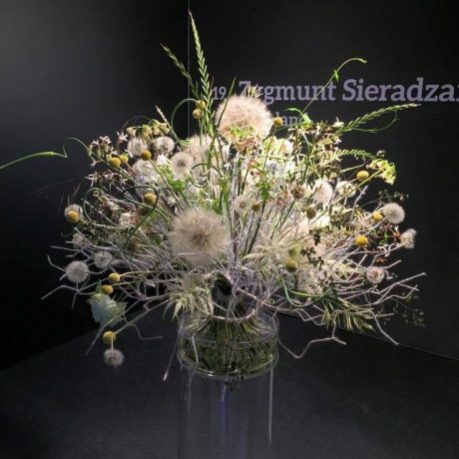 Though his shop is located in Poland, Sieradzan seeks out new opportunities and inspiration across the world, having been named the International Polish Champion in Floristry in 2010. 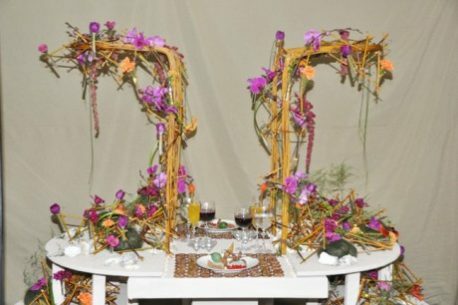 If you’re seeking out innovative, high-quality floral work, you simply must check out Sekunda & Sieradzan. Next on our list comes Belgian-born floral designer and creative jack-of-all-trades, Simaeys. After attending horticultural school in Melle, he began working as a master flower designer for multiple Belgian flower shops while also performing and competing in national as well as global floral competitions. He enjoys fantastical, whimsical creations on a grand scale. His work can be found at the Floralies 2010 (Ghent), Tomorrowland 2013 (Boom), and at the opening of the new Ghelamco Arena (The new football arena in Ghent). Since 2012, Simaeys has been a part of the Fleur [email protected] team, for which he makes a reporting every season. 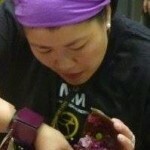 Our next florist on the list is also one of the only (if not the only) florist living in and working out Malaysia. Sooi Hing was the Malaysian competitor at the Interflora World Cup 2010, and the Fleurop-Interflora World Cup 2015. 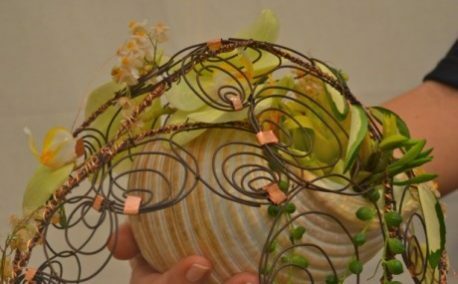 She has studied European floral design, as well as pursuing her studies in Oriental floral design (Ikebana). Sooi Hing is an active participant in the international floristry scene, regularly lecturing, competing, and holding workshops. 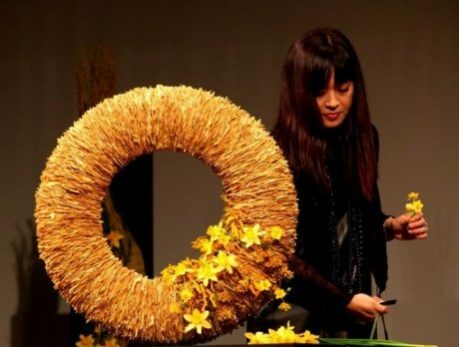 Fun fact: not only is Caroline Loo one of the most accomplished and celebrated floral designers, and she was also named one of the top 20 florists in the world! Neill is constantly on the move with a talent and flair for design and a passion for flowers that started at an early age. 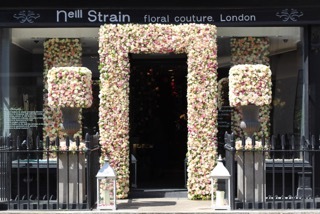 Neill has built a first class floristry empire and brand with some very high profile clients. 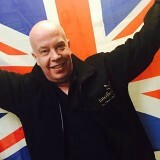 With a Master diploma in Dutch floristry, passion, drive and excellent fresh flower contacts in Holland, it’s no wonder why Neill is at the top of his game and still climbing. 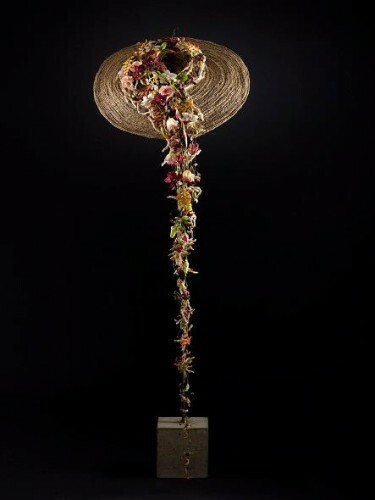 Neill certainly has a gift for floral design and when you see some of his work you will feel the energy and vibrancy that Neill uses, bringing his creations to life. 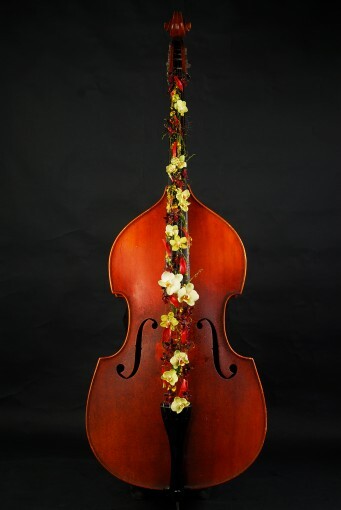 Professor Tilli’s philosophy is that floral art has no limits. 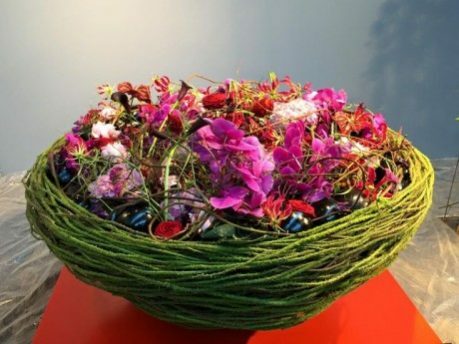 As one of the pioneering teachers of floral art in Brazil, Tilli has been teaching and training Brazilian floral artists at the Alfredo Tilli School of Floral Art for more than 36 years. He believes that proper technical skill is paramount to practising floristry. 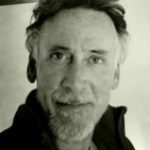 As expected, Tilli is an exemplary teacher; he has more than 20 instructional DVDs, has taught over 500 courses, and holds numerous demonstrations in person and on YouTube. All students of floral art should familiarise themselves with the teachings of Tilli. 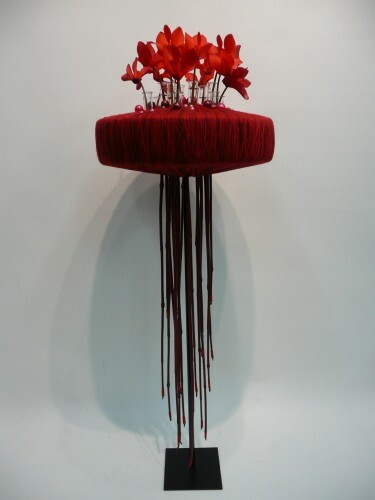 Van Berlo has the uncanny ability to combine modern floral stylings and techniques with the more classic floral arrangement style to create entirely harmonious works. He is the hipster of the floral world, always looking for the next boundary to push. His quirky style and sense of humour is undeniable in his works, each containing such unique touches and details. Stefan gets much joy out of creating floral decorations for exhibitions and competitions. 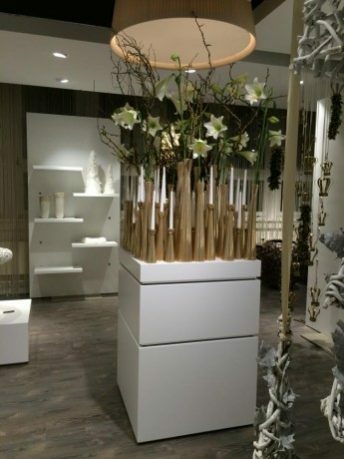 Van Berlo also can be found making his modern floral creations at Bloem-Illusie, his flower shop in Zwijndrecht, Belgium. Check out his YouTube channel for more examples of his work. 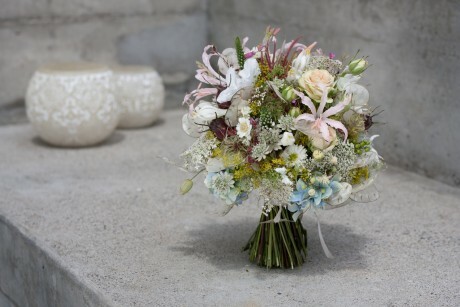 Vanden Berghe is a Belgium-born florist who trained in Ghent before following her passion for floristry and teaching to Japan, Australia, America and Europe. She believes in letting the seasons and nature shape her floral inspirations. Many of her designs were created to stimulate people to invite a piece of nature into their homes. 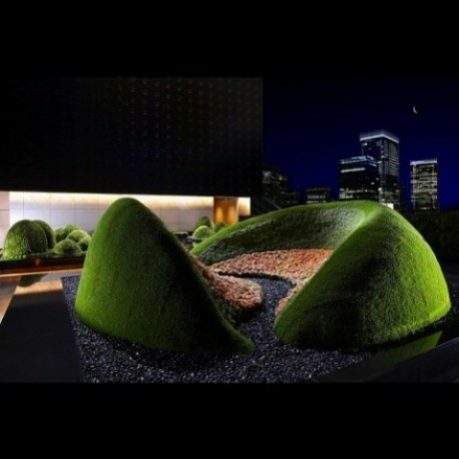 Vanden Berghe looks for new structures that can ‘carry’ natural materials to enhance their beauty even more. 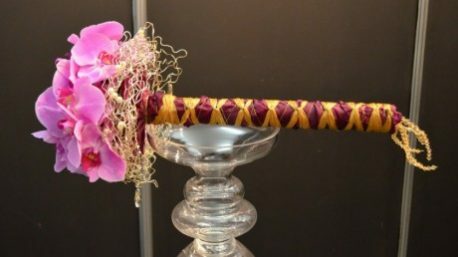 As well as blending plants with illumination and creating amazing objets d’art, Vanden Berghe specialises in detailed work such as wedding bouquets. 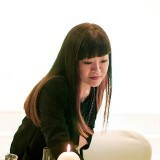 Our absolute favourite of her creations is her vegetable lamps – yes, vegetables. Fun fact: Berghe also studied painting, ceramics and sculpture. 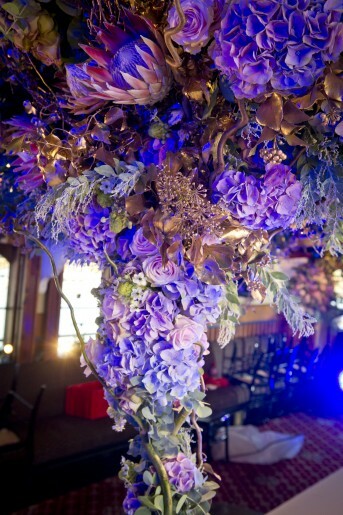 Van Jaarsveld’s speciality is creating magical, floral metamorphoses for both private and commercial clients. 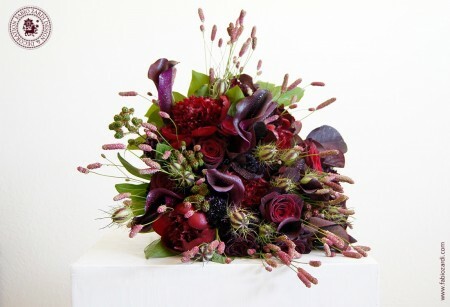 Van Jaarsveld has been practising his unique brand of floral design for decades. Gaining experience and building his repertoire in places like Sweden, Greece, Norway, England, America, Poland, Canada, St. Petersburg, and many more places. His experience isn’t limited to flowers; he’s got tenure in landscaping as well. 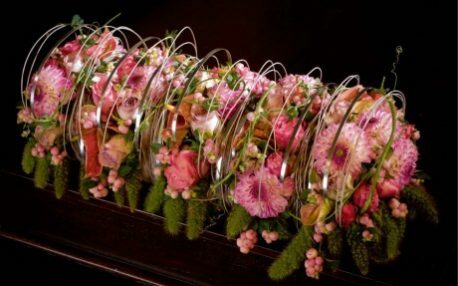 If you’re looking for unique flower designs and creations to surprise and inspire your guests, you’ve got to talk to van Jaarsveld. 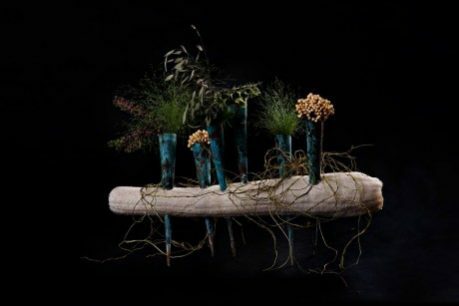 Another Master Floral Designer from the land of flowers, Van Uffelen hails from Westland, Netherlands and since 1986 has been third Master in the Ohara School of Ikebana. Van Uffelen enjoys teaching floral art, art history, colour and morphology, and many other subjects. 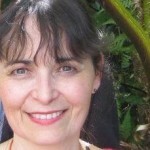 A published author since 1980, Van Uffelen has more than one dozen published books! He believes in creatively expressing himself in a variety of different materials whether they are words, flowers, language, or colour. 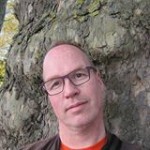 Van Uffelen is also a diligent blogger (aadvanuffelen.blogspot.nl) and columnist, focusing on his hometown Westland, as well as the issues of sustainability, green practices, nature, and the environment. Aad is always on the look out for schools, authors or organisations who are interested in his written information and museum collection for flower art. Vasquez is all about creating mesmerising, innovative floral works for unforgettable weddings and other special occasions. His portfolio is full of cheerful, bright, and one of a kind centrepieces and flowers. Presently, Vasquez owns and runs an event planning and design company headquartered out of Cali, Colombia. His company handles the hosting of major events for distinguished groups, personalities, and various local and national groups. His portfolio includes events for the President of the Republic of Colombia, the Mayor of Santiago de Cali, and various other groups like the local Jewish Community, Sugar Mill owners and the City’s Chamber of Commerce. Veurman always dabbled in floristry, working for various florists over the years in North Netherlands before starting his company in 1986. A mad scientist of sorts, Veurman is a man of few words. He expresses his heart and soul through his floral work and those that know him know he is always busy designing his new surfaces and experimenting with new floristry methods. 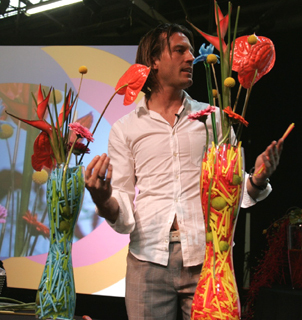 Veurman has won many awards over the course of his career, including being named the Dutch Champion in floral arrangement in 2002 and autumn award winner Floriade in 2012. 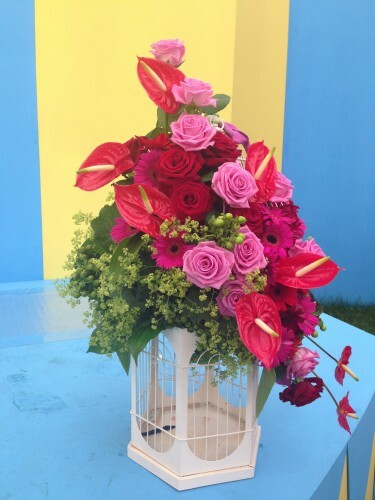 Most recently, Veurman attended the Fleurop-Interflora World Cup 2015. 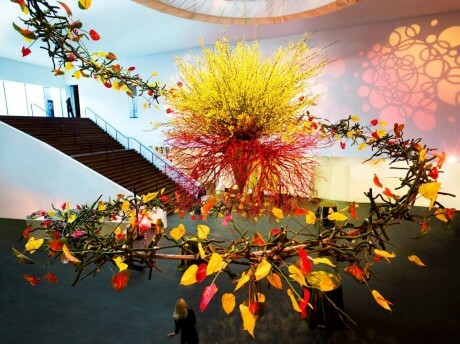 We especially love the vertical piece he created using Bird of Paradise flowers for the World Cup in Melbourne. Vis’ floral works are classic and romantic; they look like they could fit right into a painting by DaVinci or Michelangelo, which isn’t surprising when you consider his main source of inspiration is all things art and theatre. 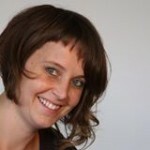 Vis is a Dutch florist who has been the house floral arranger and stylist at Jodeco Glass, Netherlands since 1996. Fun fact: Vis is part of the Flower Toppers entertainment trio (founded in 2009), providing special flower arranging demonstrations in a unique way. Our next master of floristry’s work can be found gracing the sophisticated terraces, elegant weddings & posh nightclubs of Europe. No surprise here, as von Arx Flowers & Garden has been thriving for more than 200 years. 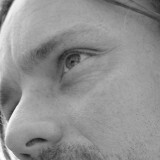 These days, Philipp von Arx can be found holding seminars, floristry courses, and leading team Pulse flowers Switzerland. 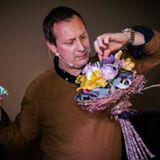 Klaus Wagener is a passionate floral designer and connects floral art with creative handcraft and actual lifestyle. 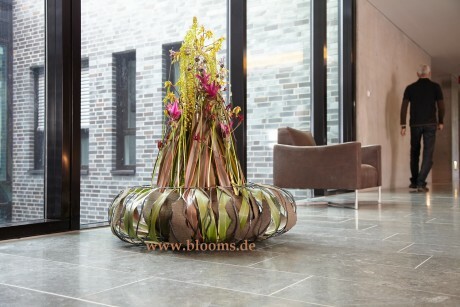 He is an owner (together with 3 partners) and the creative head of BLOOM’s GmbH, publishing house and agency for floristry. His greatest successes were winning the German Cup championship “Golden Rose” 1984 and the “Interflora World Cup” in Detroit 1985. 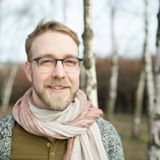 He has already published several books: “Floral Design”, “Two Faces” (a book cooperation with Gregor Lersch), “Floral Art”, “Interior Design with Plants” “Events floral”, ….. His company also offers magazines. The most famous are: “BLOOM’s View” and “BLOOM’s Deco”. 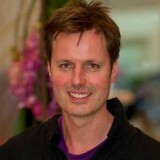 Klaus Wagener also works as a trend scout and trend consultant for the industry. Wamelink, of Marco Wamelink Design, works on a large scale with both private and commercial clients on their various garden and floral design projects. 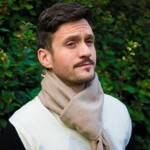 His work has been featured in various garden and style magazines, and he is known globally for the way he combines his unique flair with a down to earth practicality. Wamelink especially likes working with seasonal plants while reusing, recycling, and reducing material waste wherever possible. His garden designs reflect a certain minimalistic, modern, striking beauty; they blend right into their environmental inspiration while standing out. His floral designs are also quite excellent, many forcing the admirer to step back and think. Brazilian native and floristry enthusiast Fernando Weber slowly cultivated his love for floral art despite showing a propensity towards flowers from a very young age. 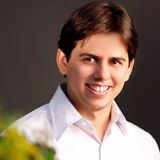 When he was just 17, Weber took over one of the most traditional companies in Caxias do Sul, Floriculture Guarany and began honing his skills. In addition to running Floriculture Guarany, Weber also owns and runs FW Flowers and Decorations, a florist and party supply business. 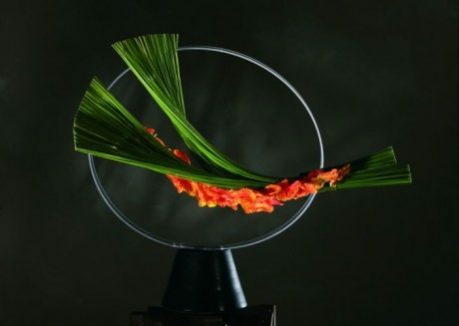 Weber believes that the real expert should never stop learning, and he continually pushes himself to expand his knowledge and practice by participating in many local events, most recently taking home first place in the Brazilian Cup of Floral Art. 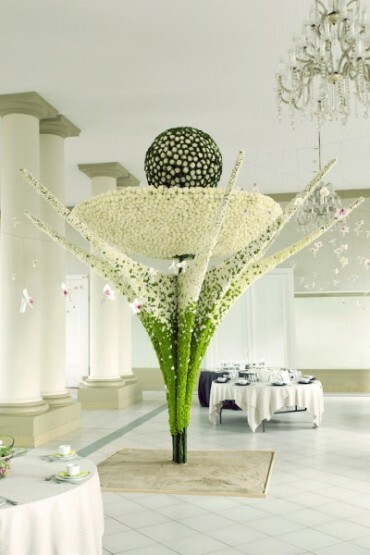 Whittaker is one of Europe and the UK’s top florists whose work has been appearing in industry publications and trade magazines for years. 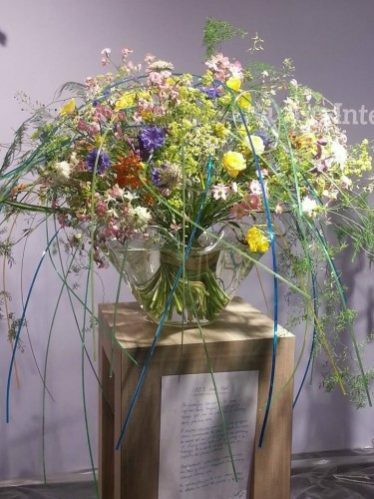 Most recently, Manchester-based Whittaker won second place in the Fleurop-Interflora World Cup 2015. When he isn’t competing internationally or coming up with the newest designs for Design Element, Whittaker can be found operating his floral design school and shop The Design Element in Manchester. Wong is a native of Vietnam, and her flower and plant works have a certain tropical air to them. Many of the projects Wong works on are large-scale and/or fashion-based. One of our favourites is the incredible dress made from fresh leaves that Wong recently made while one other is the boat she decorated for the Westland Floating Parade in 2013. 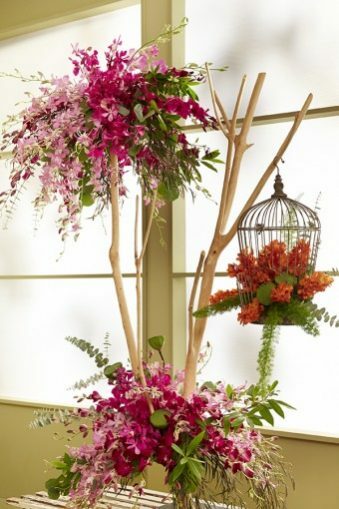 Wong’s style is unique in that it blends both Western and Asian styles of flower design, creating clean, modern lines and compositions. 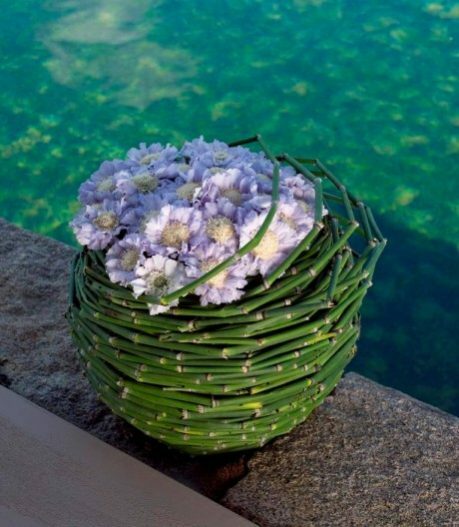 Fabio Zardi is an Italian-born floral designer who currently lives and works in Santorini, Greece. 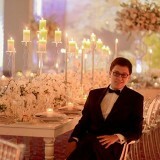 His company, Fabio Zardi Events & Wedding Design, specialises in weddings and event planning worldwide. 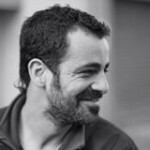 Fabio started his experience in Italy, and he is now one of the most appreciated designers in Greece: in a few years his company has grown, and Fabio is required for the decoration the most important events. 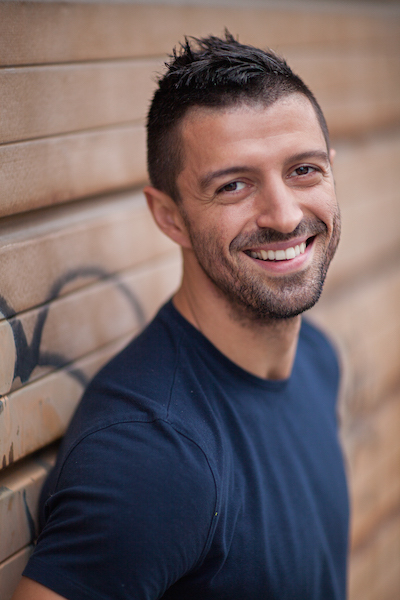 More and more couples of Greeks resident in Australia choose Fabio for their wedding in Greece. 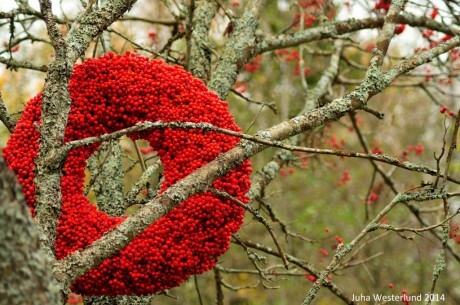 Russian-born Zhizhko is an artist, florist and decorator who wants the harmony and beauty of nature to show in every bit of work that she creates. Some of her work can be found in the World Floral Art annual book project, as well as in various Russian and international floral design journals. Notable achievements in Zhizhko’s career include her winning the 2002 Kiev Spring competition, taking home 3rd place at the Pacific Flora 2004 exhibition and winning 1st place at the Russian Championships of Professional Florists in 2009. She also won the Europa Cup in 2011 and at the time of writing this post she was the current holder of the title European Floristry Champion. Zhizhko shows her skills in the many demonstrations she does throughout the world as well as being featured in international projects. I am glad you bought that up as he is one of the most influential floral designers in the world for sure! Unfortunately though, some of the designers politely declined our invitation to be included. 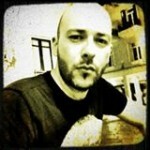 Gregor Lersch is totally one of our fav’s and we respect him greatly. C’est hallucinant ne pas voir le nom de Gregor Lersch….C’est la première fois que vois cela…. Malheureusement, certains de nos designers floraux préférés décliné poliment notre invitation à être inclus dans la liste. And of course the greatest of all on my opinion , DANIEL OST…! !He is not on the list but probably he declined your invitation as you said for GR.LERSCH. Great to see some familiar faces on this list. 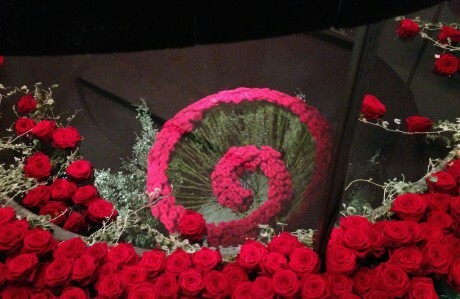 I do indeed think the godfather of flower design – Daniel Ost – is missing on it. Many of the people on this list are trained by him or get the attention because of him. As for him declining an invitation – we didn’t receive one. So feel free to put him in your list, because that’s where he belongs! We totally agree with you and have added Daniel Ost where he belongs! Stein Are Hansen surely should have been mentioned too! Hi Monica, great choice on Stein he is one of our favourites, thank you for mentioning him. As importer of David Austin and other Luxury roses I can tell you all of the florists mentioned here are absolutely great. You always miss a few. Flowershop PomPon in Amsterdam is my favorite flower shop, I guess lot’s of florists go there to get inspiration. The owner Hilde will never be on stage, but I think she is as influential as most of the florists on the list above. I don’t know how influential Thierry and menno are, but I think their work is absolutely stunning. Thank you for sharing your favourites too, we just had a look at Thierry Boutemy and Menno Kroon’s websites, good call, they have some amazing work. If they have great influence on you then they are influential. This is what the post is about, we share our favourites, the designers that have influenced us and you share yours. Keep sharing People, we are getting some great names. CONGRATULATIONS! It s a great blog! Thank you for including me in this well researched list… I appreciate it! I enjoying sharing the flower design tips, tricks and ideas I’ve learned along the way… I hope it inspires everyone to include flowers in their lives- we all need to Bloom 365! It saddens me that you have overlooked the substantial body of work by Gary Weiss of San Francisco’s IXIA. Terribly sorry if we let you down. I am totally shocked Hitomi Gilliam was omitted from your top floral artist. Nice mention there for Hitomi Gilliam, another fantastic floral designer!! Thre are two important UK designers missing from your list…….Claire Cowling and Paula Pryke. Both brilliant and very influential with their own individual styles. And another from Germany …Wally Klett. Claire Cowling, Paula Pryke and Wally Klett, look like three very talented ladies!. 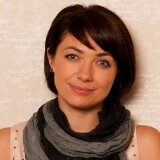 -Claire runs Thrive Floristry, florist, designer, author and her own words “A beadaholic”. 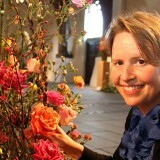 -Paula Pryke from Paula Pryke Flower School, she has published 16 flower books! -Wally Klett, has many great awards to her name and a few big titles. Each of them have many more great accomplishments and contributions to the floral world, we should all take a look. Thank you so much for mentioning them. Am very honored to be on the list. but I miss it a few! I think it is also impossible to make a complete list.Our beautiful profession is so in development .!! .. and I’m glad I can be part of this ! The honour is ours, you are a great floral designer and we love and respect your work!! Hola que tal, el colombiano David Vasquez lo distingo de los 15 años de edad y gracias a su lucha perseverancia es hoy en día lo que es. 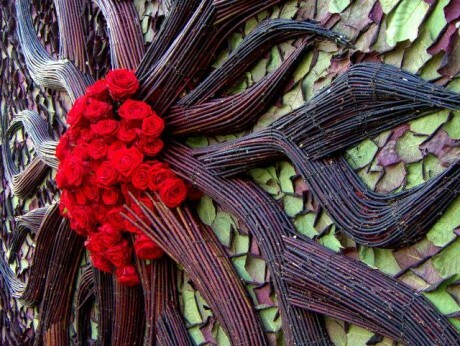 These floral designers have really the most amazing floral designs. Such creativity and inspiration! 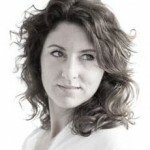 Hi I have to tell you about Tina Parkes, (trained as a Dutch Master), a humble quiet lady but a very serious talent. She is/has been instrumental in the UK for producing 40% of the UK’s Master Florists and furthering education in floristry through her own qualifications and City & Guilds. 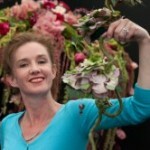 She is a co-owner of the flower school http://www.academyoffloralart.com and her students go on to have very successful careers and many of them who take part in the RHS flower shows gain gold medals. She also has a book out with her business partner Julie Collins called Chic and Unique Flower Arrangements. I owe her so much for my own career and the exciting things I have achieved have been down to her total selfless support. Which is why I wanted to share her name with you. Thank you for your time. Thank you, Amanda, for the well deserved shout-out to Tina Parkes. Stein Are Hansen, Annette von Einem, Nicolai Bergmann, Gregor Lersch and Pirjo Koppi. Thanks for the shout out Jens, we agree these are indeed great designers! Nice list! One suggestion perhaps: our Dutch pride Pim van den Akker cannot be left out…. Thanks for the great Suggestion Sander. 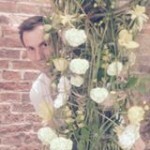 Pim van den Akker is yet another fantastic floral designer from the beautiful land of flowers. Very good and nice Idea to give a large view of floral Design and floral Designers all around the world. No problem if some are not in..
All the world need a Sanctuary of Floral Design because only few people know how big and how many energy there’s behind. We need more people to see and touch and talk about this, we don’t need Floral Stars or Primedonne, just we need Witness how beautiful nature and can take many facets. Thank you for your words of wisdom. Our door is always open, and we love hearing from floral designers from all around the world. Sure we did miss a lot of great floral designers in our round-up, but we had to stop somewhere. We have spent time with a lot of floral designers, the determination, energy, and passion that Floral Designers put into their creations, is unbelievable! This same energy surrounds them even when they are just talking about their work. It is rare to see this same energy/passion in everyday life. Why Natallia Sakalova are not in your good listing? I see a lot of good florist, but miss a lot. 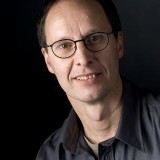 Gregor Lersch, Koos Zuidgeest, Wim Hazelaar, Tage Andersen. I worked a lot with this fantastic florists. Great blog. 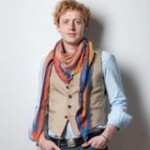 You forgot the UK’s Phillip Corps, another very talented designer & Palo Onder . Great blog. 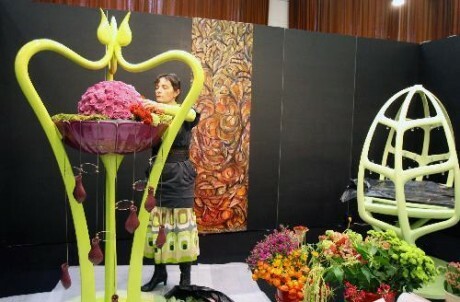 Very good Idea to give a large view of floral Design and floral Designers all around the world. As an importer of David Austin and other Luxury roses, I can tell you all of the florists mentioned here are absolutely great but you have missed two three more. Anyways you have given such a great information to us. Jeff Latham should not be counted among the names on this list. He is a two trick pony. Masses of flowers or one kind angled out of a vase and arranged in multiples. There is no evolution in his design sphere whatsoever. I would give him a -1 for creativity an 100+ for schmoozing his way as a “creative genius”. One only has to look at his book to see he’s got not much but flowers tipped out of vases as his true calling card.